Twenty-five years ago, the draft-manuscript that became the book Philosophy of Economics got me into much trouble in American academia. As I have said elsewhere, a gang of “inert game theorists”, similar to many (often unemployable ex-mathematicians) who had come to and still dominate what passes for academic economics in many American and European universities, did not like at all what I was saying. 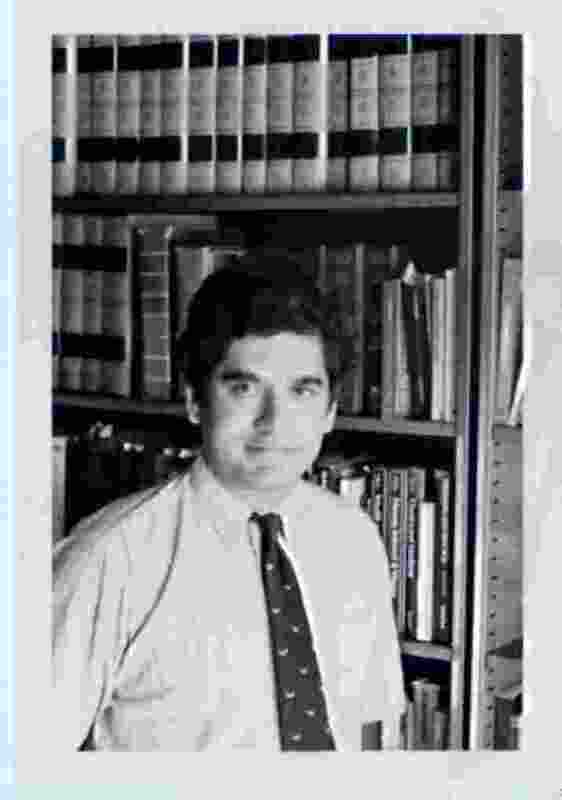 A handful of eminent senior economists – Frank Hahn, T W Schultz, Milton Friedman, James M Buchanan, Sidney Alexander – defended my work and but for their support over the decade 1979-1989, my book would not have seen light of day. Eventually, I have had to battle over years in the US federal courts over it – only to find myself having to battle bribery of court officers and the suborning of perjury by government legal officers too! (And speaking of government-paid psychologists, I was even required at one point by my corrupt opponent to undergo tests for having had the temerity of being in court at all! Fortunately for me that particular psychologist declined to participate in the nefariousness of his employer!). I find all this poignant today as Philosophy of Economics may have, among other things, described the general theoretical problem that has been brought to light today. I was delighted to hear from a friend in 1993 that my book had been prescribed for a course at Yale Law School and was strewn all over an alley in the bookshop. Separately, I am also delighted to find that a person pioneering the current work is a daughter of our present PM. I have been sharply critical of Dr Singh’s economics and politics, but I have also said I have had high personal regard for him ever since 1973 when he, as a friend of my father’s, visited our then-home in Paris to advise me before I embarked on my study of economics. My salute to the ACLU’s work in this – may it be an example in defeating cases of State-tyranny in India too. On the Blacksburg campus February 1982, my second year in America. 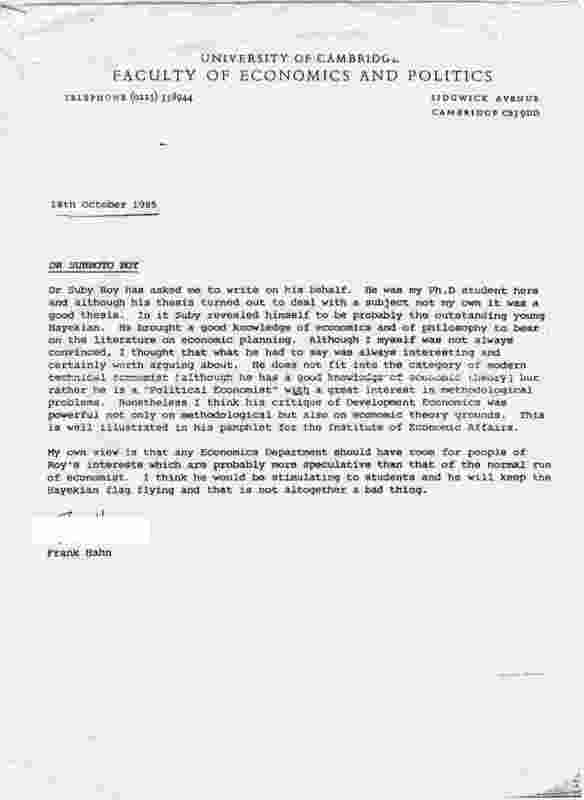 I had come to Blacksburg in August 1980 thanks to a letter Professor Frank Hahn had written on my behalf to Professor James M Buchanan in January 1980. 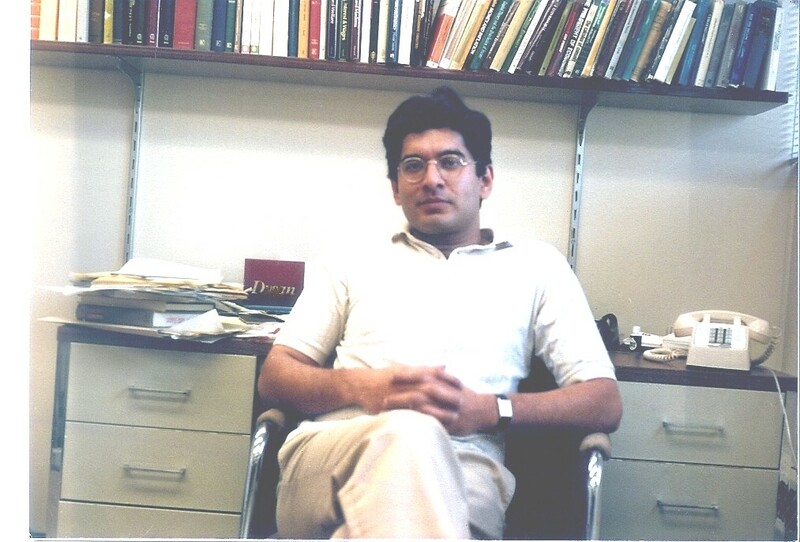 I was in an “All But Dissertation” stage at Cambridge when I got to Blacksburg; I completed the thesis while teaching in Blacksburg, sent it from there in September 1981, and went back to Cambridge for the viva voce examination in January 1982. Professor Buchanan and his colleagues were welcoming and I came to learn much from them about the realities of public finance and democratic politics, which I very soon applied to my work on India. 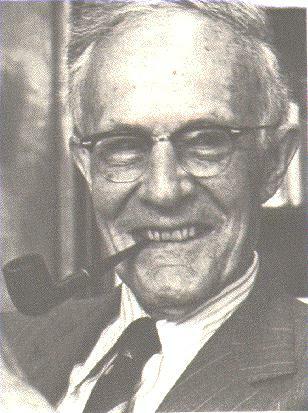 Jim Buchanan had a reputation for running very tough conferences of scholars. He invited me to one such in the Spring of 1981. We were made to work very hard indeed. One of the books prescribed is still with me, In Search of a Monetary Constitution, ed. Leland Yeager, Harvard 1962, and something I still recommend to anyone wishing to understand the classical liberal position on monetary policy. The week-long 1981 conference had one rest-day; it was spent in part at an excellent theatre in a small rural town outside Blacksburg. This photo is of Jim Buchanan on the left and Gordon Tullock on the right; in between them is Ken Minogue of the London School of Economics — who, as it happened, had been Tutor for Admissions when I became a freshman there seven years earlier. My first rooms in America in 1980 were in the attic of 703 Gracelyn Court, where I paid $160 or $170 per month to my marvellous landlady Betty Tillman. There were many family occasions I enjoyed with her family downstairs, and her cakes, bakes and puddings all remain with me today. A borrowed electric typewriter may be seen in the photo: the age of the personal computer was still a few years away. 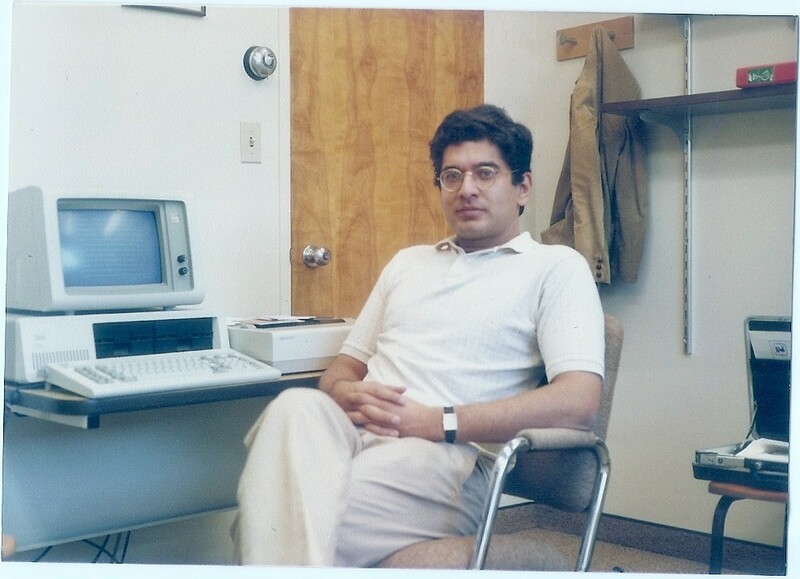 The Department had a stand-alone “AB-Dic” word-processor which we considered a marvel of technology; the Internet did not exist but there was some kind of Intranet between geeks in computer science and engineering departments at different universities. 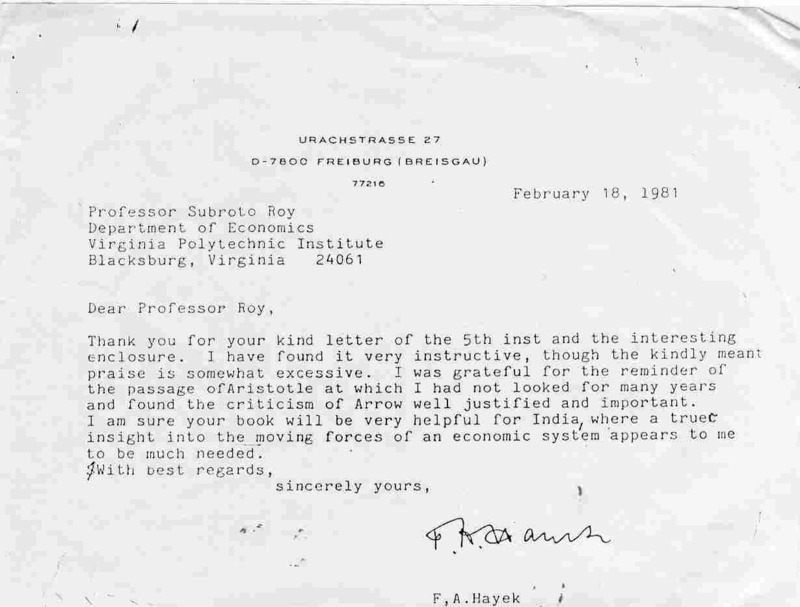 It was at Gracelyn Court that this letter reached me addressed by FA Hayek himself. Professor Buchanan had moved to Blacksburg from Charlottesville some years earlier with the Centre for Study of Public Choice that he had founded. The Centre came to be housed at the President’s House of Virginia Tech (presumably the University President himself had another residence). I was initially a Visiting Research Associate at the Centre and at the same time a Visiting Assistant Professor in the Economics Department. I was very kindly given a magnificent office at the Centre, on the upper floor, perhaps the one on the upper right hand side in the picture. 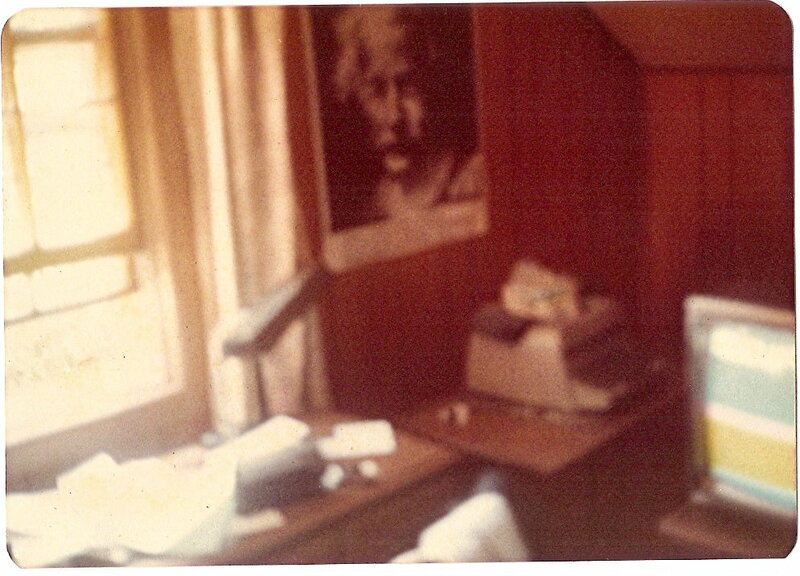 It was undoubtedly the finest room I have ever had as an office. I may have had it for a whole year, either 1980-81 or 1981-82. 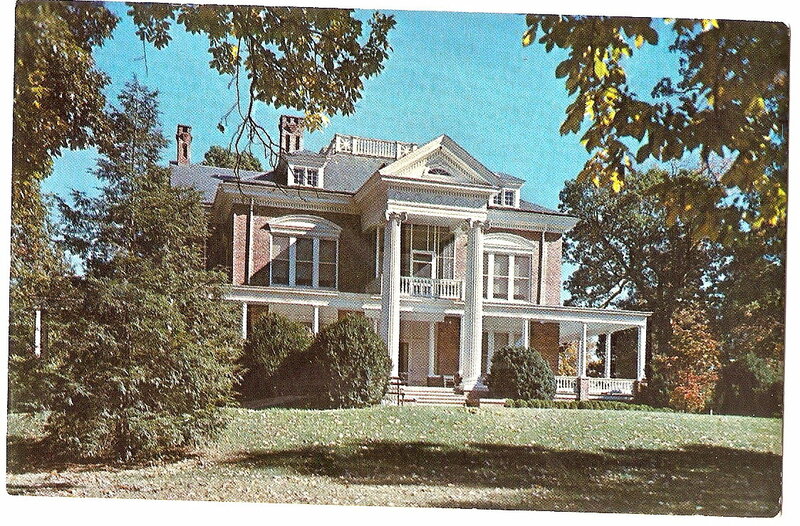 When Professor Buchanan and the Centre left for George Mason University in 1983, the mansion returned to being the University President’s House and my old office presumably became a fine bedroom again. 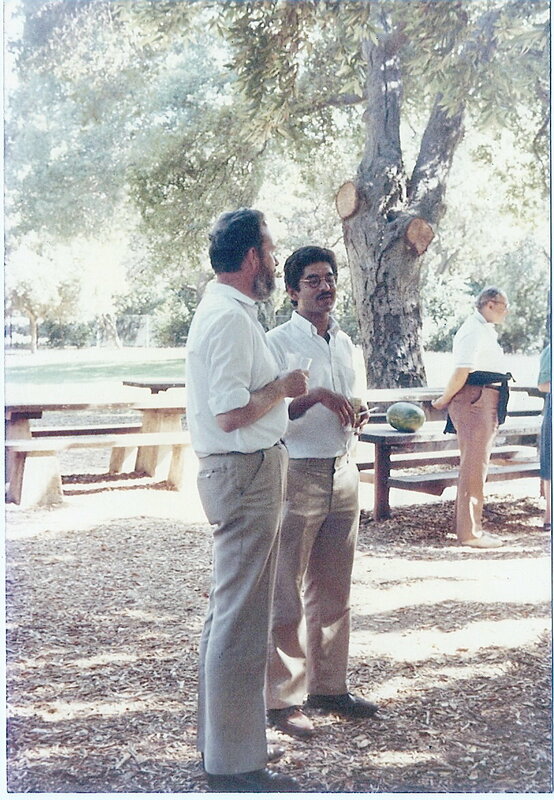 I spent the summer of 1983 at a long libertarian conference in the Palo Alto/Menlo Park area in California. 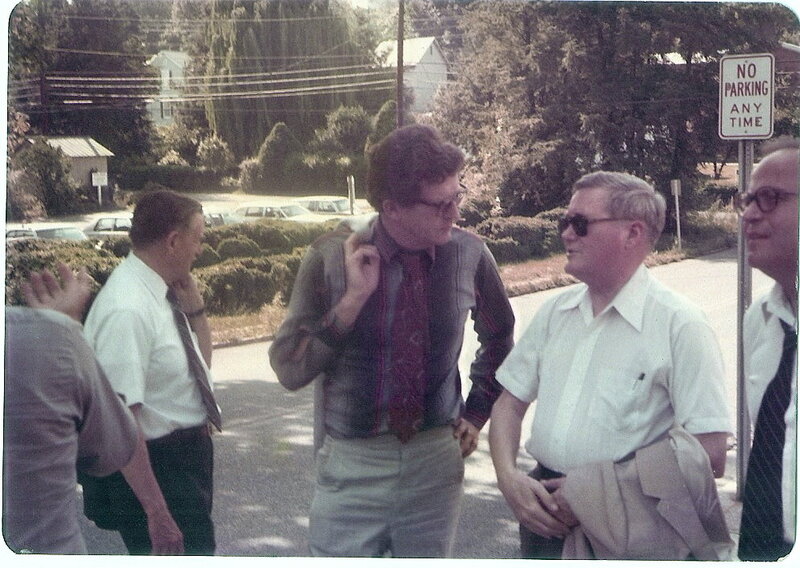 This is a photo from a barbecue during the conference with Professor Jean Baechler from France on the left; Leonard Liggio, who (along with Walter Grinder) had organised the conference, is at the right. 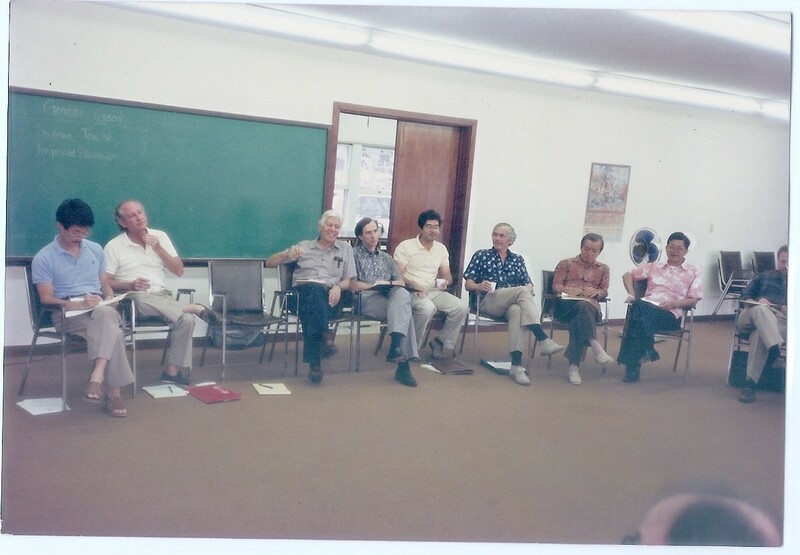 The first draft of the book that became Philosophy of Economics was written (in long hand) during that summer of 1983 in Palo Alto/Menlo Park. The initial title was “Principia Economica”, and the initial contracted publisher, the University of Chicago Press, had that title on the contract. to whom the Press had initially sent the manuscript for review and who had recommended its prompt publication. Professor Schultz later told me to my face better what my book was about than I had realised myself, namely, it was about economics as knowledge, the epistemology of economics. My parents came from India to visit me in California, and here we are at Yosemite. Also to visit were Mr and Mrs Willis C Armstrong, our family friends who had known me from infancy. 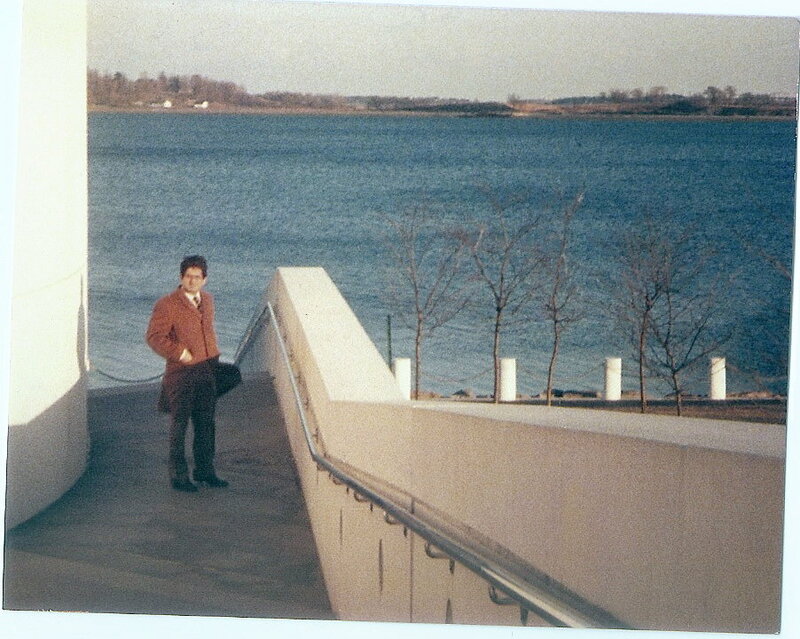 This is a photo of Bill and my mother on the left, and Louise and myself on the right, taken perhaps by my father. In the third week of January 1991, during the first Gulf War, Bill and I (acting on behalf of Rajiv Gandhi) came to form an extremely tenuous bridge between the US Administration and Saddam Hussain for about 24 hours, in an attempt to get a withdrawal of Iraq from Kuwait without further loss of life. In December 1991 I gave the widow of Rajiv Gandhi a small tape containing my long-distance phone conversations from America with Rajiv during that episode. I had driven with my sheltie puppy from Blacksburg to Palo Alto — through Tennessee, Arkansas, Oklahoma, Texas, New Mexico and Arizona; my parents and I now drove with him back to Blacksburg from California, through Nevada, Arizona, Colorado, Kansas, Missouri, Illinois, Indiana, Kentucky, West Virginia. It may be a necessary though not sufficient condition to drive across America (or any other country) in order to understand it. After a few days, we drove to New York via Pennsylvania where I became Visiting Assistant Professor in the Cornell Economics Department (on leave from being Assistant Professor at Virginia Tech). The few months at Cornell were noteworthy for the many long sessions I spent with Max Black. I shall add more about that here in due course. 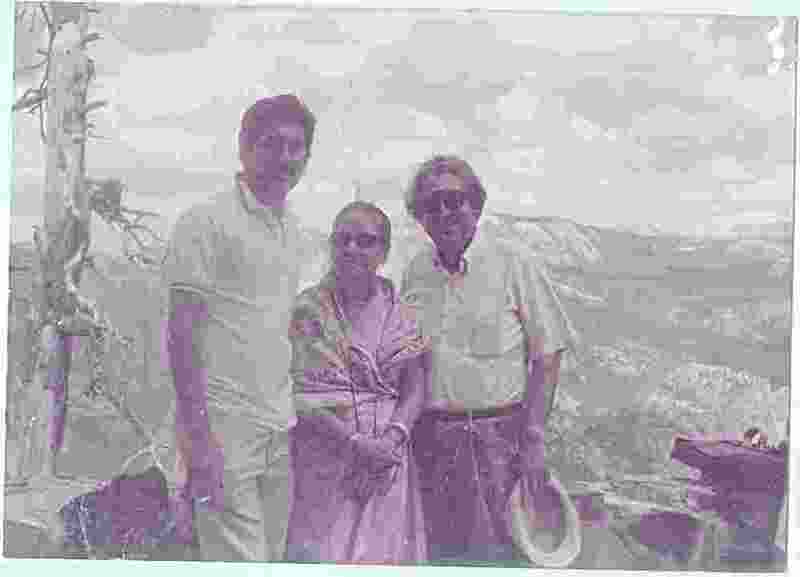 My parents returned to India (via Greece where my sister was) in the Autumn of 1983. In May 1984, Indira Gandhi ruled in Delhi, and the ghost of Brezhnev was still fresh in Moscow. The era of Margaret Thatcher in Britain and Ronald Reagan in America was at its height. 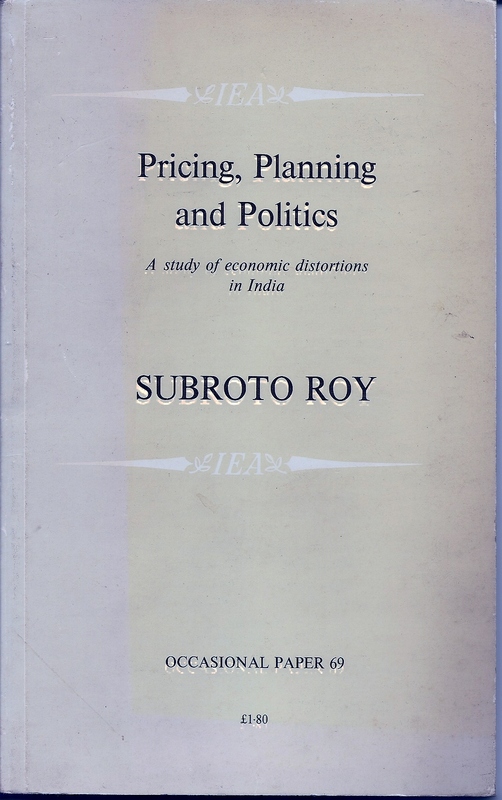 Pricing, Planning & Politics: A Study of Economic Distortions in India emerging from my doctoral thesis though written in Blacksburg and Ithaca in 1982-1983, came to be published by London’s Institute of Economic Affairs on May 29 as Occasional Paper No. 69, ISBN: 0-255 36169-6; its text is reproduced elsewhere here. It was the first critique after BR Shenoy of India’s Sovietesque economics since Jawaharlal Nehru’s time. The Times, London’s most eminent paper at the time, wrote its lead editorial comment about it on the day it was published, May 29 1984. It used to take several days for the library at Virginia Tech in Blacksburg to receive its copy of The Times of London and other British newspapers. I had not been told of the date of publication and did not know of what had happened in London on May 29 until perhaps June 2 — when a friend, Vasant Dave of a children’s charity, who was on campus, phoned me and congratulated me for being featured in The Times which he had just read in the University Library. “You mean they’ve reviewed it?” I asked him, “No, it’s the lead editorial.” “What?” I exclaimed. There was worse. Vasant was very soft-spoken and said “Yes, it’s titled ‘India’s Bad Example’” — which I misheard on the phone as “India’s Mad Example” 😀 Drat! I thought (or words to that effect), they must have lambasted me, as I rushed down to the Library to take a look. The editorial itself may have been due to a conversation between Peter Bauer and William Rees-Mogg, so I later heard. The work sold 700 copies in its first month, a record for the publisher. The wife of one prominent Indian bureaucrat told me in Delhi in December 1988 it had affected her husband’s thinking drastically. A senior public finance economist told me he had been deputed at the Finance Ministry when the editorial appeared, and the Indian High Commission in London had urgently sent a copy of the editorial to the Ministry where it caused a stir. An IMF official told me years later that he saw the editorial on board a flight to India from the USA on the same day, and stopped in London to make a trip to the LSE’s bookshop to purchase a copy. Professor Jagdish Bhagwati of Columbia University had been a critic of aspects of Indian policy; he received a copy of the monograph in draft just before it was published and was kind enough to write I had “done an excellent job of setting out the problems afflicting our economic policies, unfortunately government-made problems!” My great professor at Cambridge, Frank Hahn, would be kind enough to say that he thought my “critique of Development Economics was powerful not only on methodological but also on economic theory grounds” — something that has been a source of delight to me. 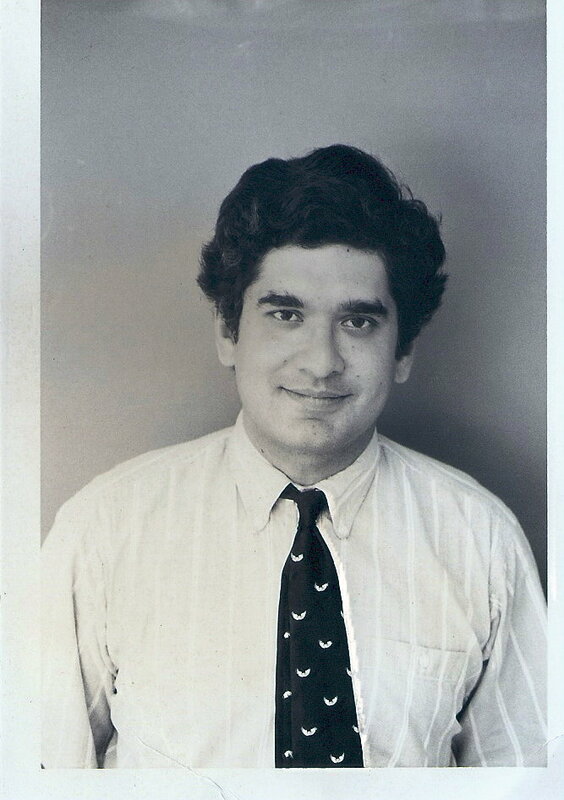 Siddhartha Shankar Ray told me when we first met that he had been in London when the editorial appeared and had seen it there; it affected his decision to introduce me to Rajiv Gandhi as warmly as he came to do a half dozen years later. In the Autumn of 1984, I went, thanks to Edwin Feulner Jr of the Heritage Foundation, to attend the Mont Pelerin Society Meetings being held at Cambridge (on “parole” from the US immigration authorities as my “green card” was being processed at the time). 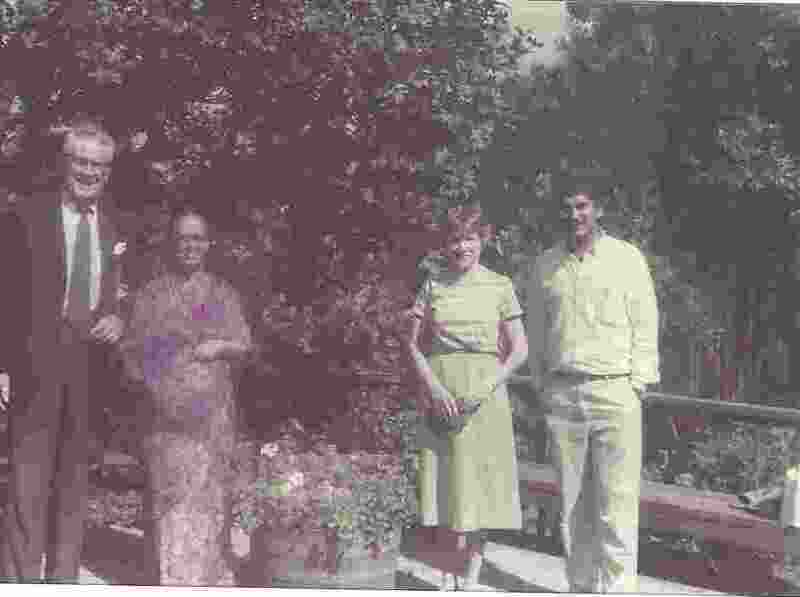 There I met for the first time Professor and Mrs Milton Friedman. Milton Friedman’s November 1955 memorandum to the Government of India is referred to in my monograph as “unpublished” in note 1; when I met Milton and Rose, I gave them a copy of my monograph; and requested Milton for his unpublished document; when he returned to Stanford he sent to me in Blacksburg his original 1955-56 documents on Indian planning. 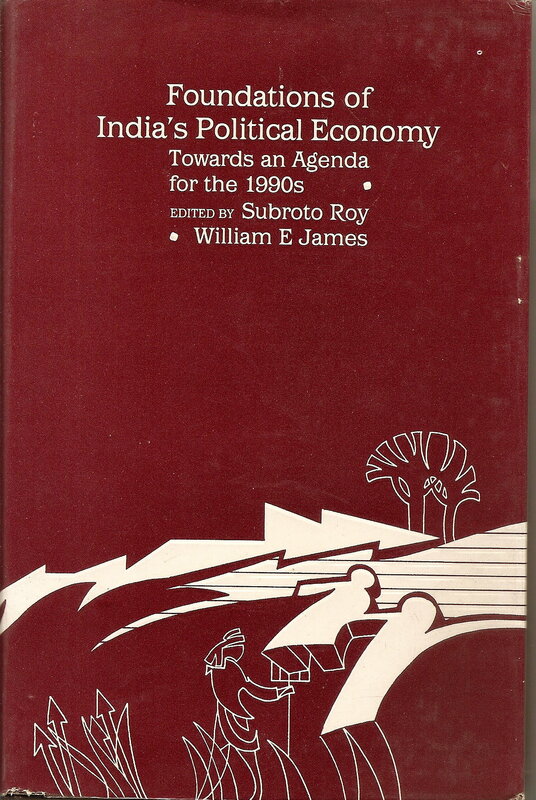 I published the 1955 document for the first time in May 1989 during the University of Hawaii perestroika-for-India project I was then leading, it appeared later in the 1992 volume Foundations of India’s Political Economy: Towards an Agenda for the 1990s, edited by myself and WE James. 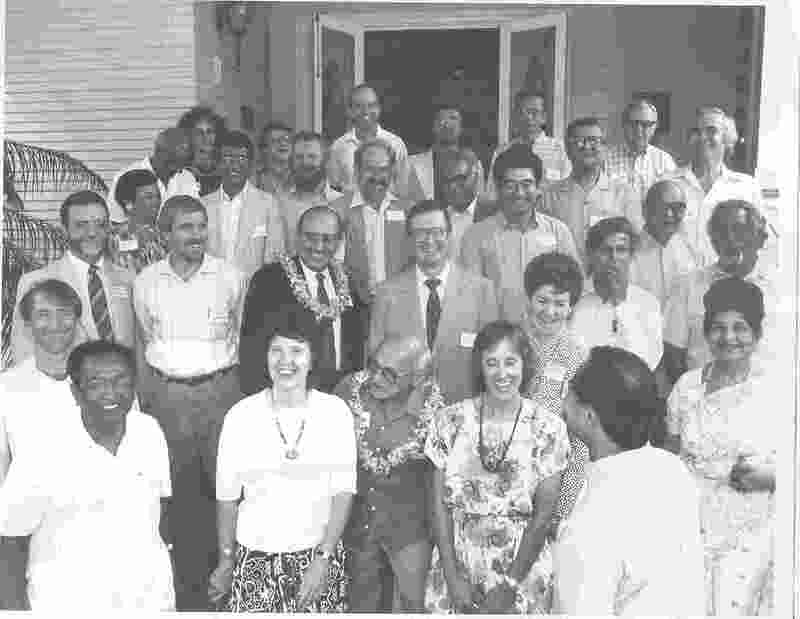 (The results of the Hawaii project reached Rajiv Gandhi through my hand in September 1990, as told elsewhere here in “Rajiv Gandhi and the Origins of India’s 1991 Economic Reform”.) The 1956 document was published in November 2006 on the front page of The Statesman, the same day my obituary of Milton appeared in the inside pages. Professor Alexander was extremely gracious, and immediately declared with great generosity that it was clear to him my arguments in “Principia Economica” had been developed entirely independently of his work. He had come at the problem from an American philosophical tradition of Dewey, I had done so from a British tradition of Wittgenstein. (CS Peirce was probably the bridge between the two.) He and I had arrived at some similar conclusions but we had done so completely independently. 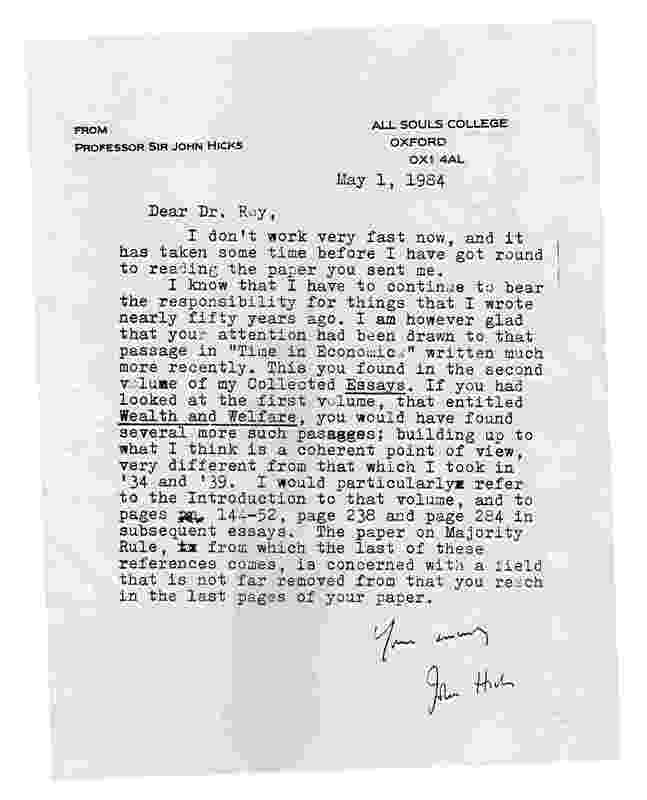 Also, I was much honoured by this letter of May 1 1984 sent to Blacksburg by Professor Sir John Hicks (1904-1989), among the greatest of 20th Century economists at the time, where he acknowledged his departure in later life from the position he had taken in 1934 and 1939 on the foundations of demand theory. Professor Schultz at the University of Chicago came to my rescue and at his recommendation I was appointed Visiting Associate Professor in the Economics Department at Brigham Young University in Provo, Utah. I declined, without thanks, the offer of another year at Virginia Tech. 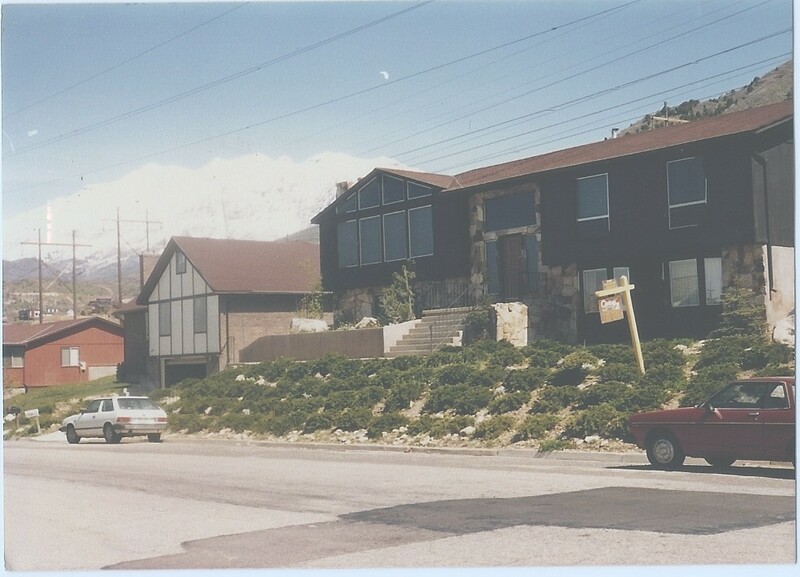 In Provo, I gratefully found refuge at the excellent Economics Department led at the time by Professor Larry Wimmer. It was at Provo that I first had a personal computer on my desk (an IBM as may be seen) and what a delight that was (no matter the noises that it made). I recall being struck by the fact a colleague possessed the incredible luxury of a portable personal computer (no one else did) which he could take home with him. It looked like an enormous briefcase but was apparently the technology-leader at the time. (Laptops seem not to have been invented as of 1985). 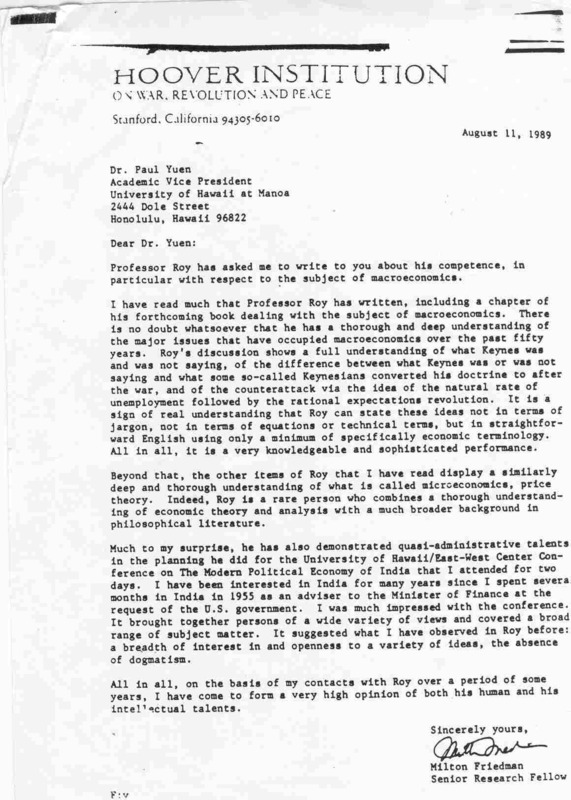 In October 1985, Professor Frank Hahn very kindly wrote to Larry Wimmer revising his 1980 opinion of my work now that the PhD was done, the India-work had led to The Times editorial and the theoretical work was proceeding well. 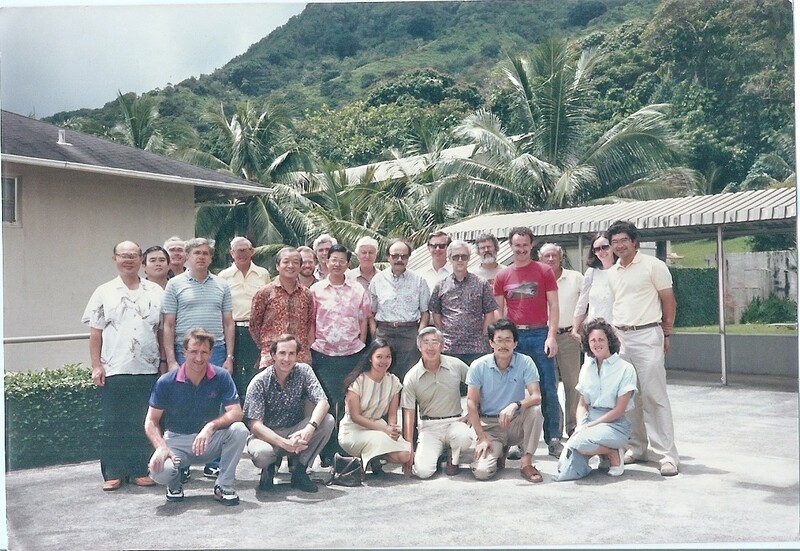 I had applied for a permanent position at the University of Hawaii, Manoa, and had been interviewed positively at the American Economic Association meetings (in New York) in December 1985 by the department chairman Professor Fred C. Hung. At Provo, Dr James Moncur of the Manoa Department was visiting. 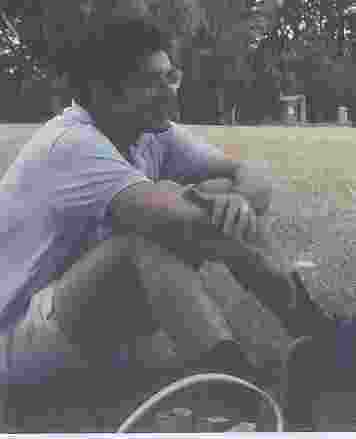 Jim became a friend and recommended me to his colleagues in Manoa. Hawaii was simply a superb place (though expensive). 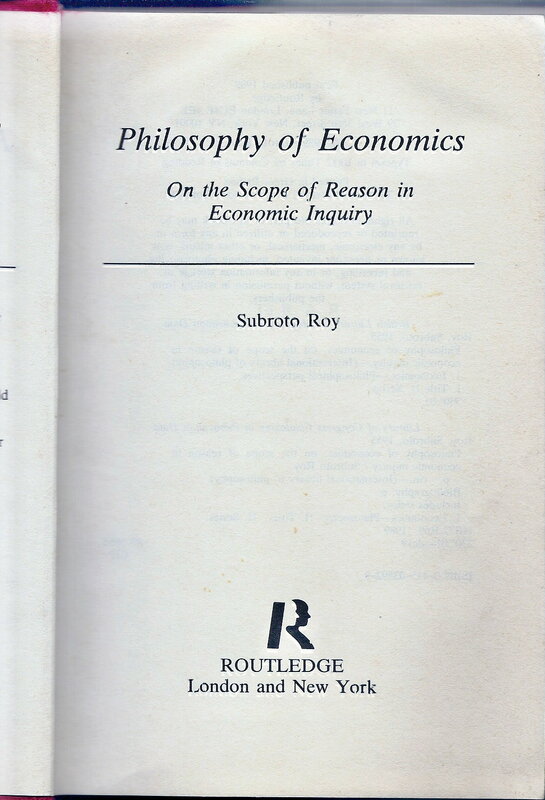 In August 1988, my manuscript “Principia Economica” was finally accepted for publication by Routledge of London and New York under the title Philosophy of Economics: On the Scope of Reason In Economic Inquiry. The contract with University of Chicago Press had fallen through and the manuscript was being read by Yale University Press and a few others but Routledge came through with the first concrete offer. 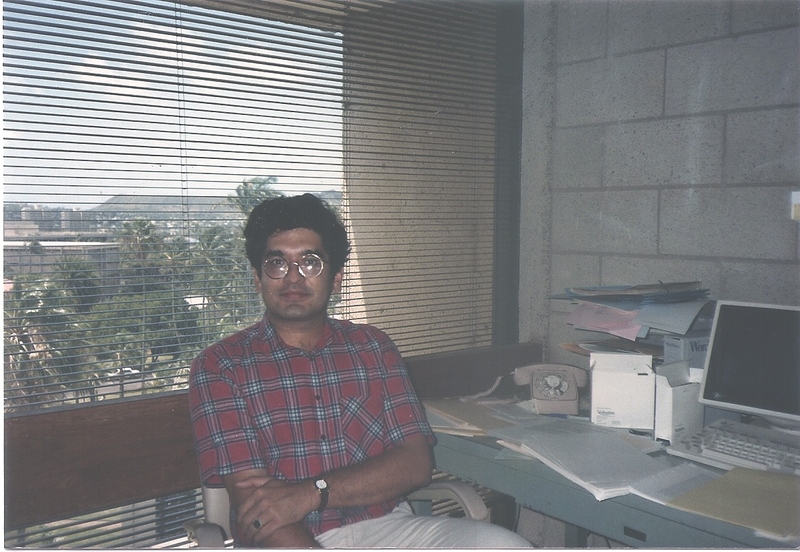 I was delighted and these photos were taken in the Economics Department at Manoa by a colleague in September 1988 as the publisher needed them. 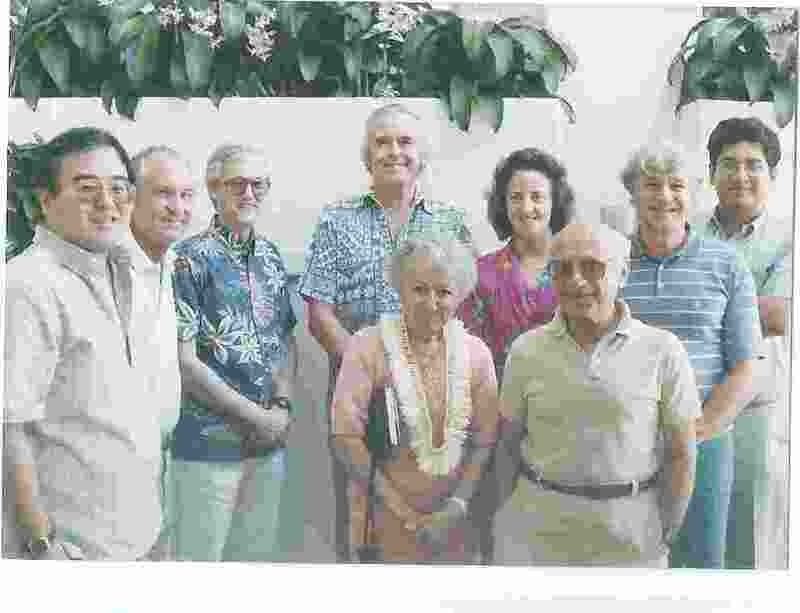 Milton and Rose Friedman came to Honolulu on a private holiday perhaps in January 1989; they had years earlier spent a sabbatical year at the Department. Here is a luncheon that was arranged in their honour. They had in the Fall of 1988 been on their famous visit to China, and as I recall that was the main subject of discussion on the occasion. 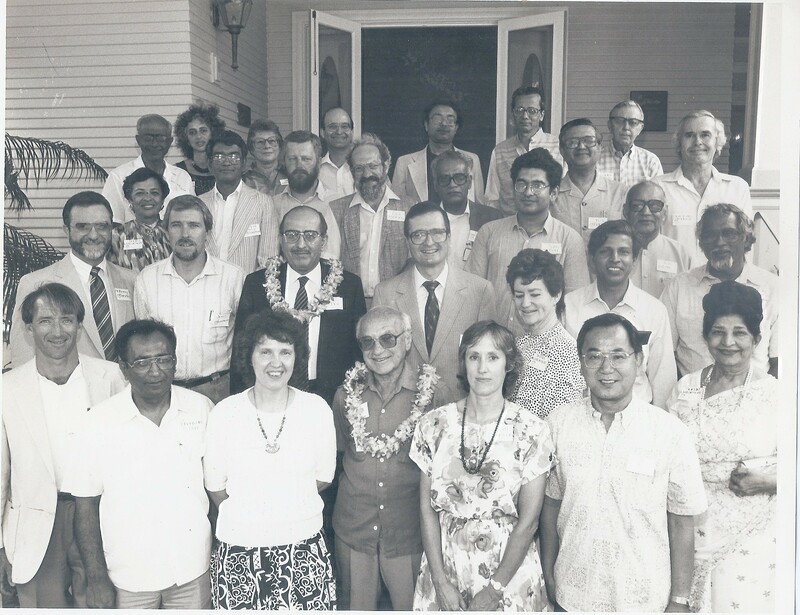 Milton phoned me in my Manoa office and invited me to meet him and Rose at their hotel for a chat; we had met first at the 1984 Mont Pelerin meetings and he wished to know me better. I was honoured and turned up dutifully and we talked for perhaps an hour. I recall making a strong recommendation that he write his memoirs, especially so that the rumours and innuendo surrounding eg the Chile episode could be cleared up; I also said a “Collected Works” would be a great idea; when Milton and Rose published their memoirs Two Lucky People (Chicago 1998) I wondered if my first suggestion had come to be taken; as to the second, he wrote to me years later saying he felt no Collected Works were necessary. 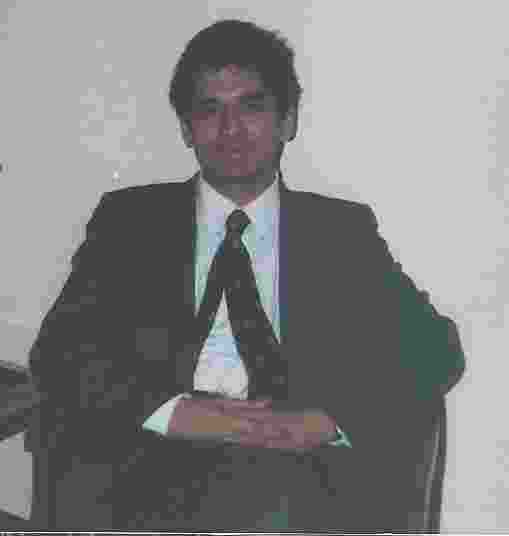 From 1986 onwards, I had been requested by the University of Hawaii to lead a project with William E James on the political economy of “South Asia” .I had said there was no such place, that “South Asia” was a US State Department abstraction but there were India and Pakistan and Sri Lanka and Bangladesh and Afghanistan etc. Sister projects on India and Pakistan had been sponsored by the University, and in 1989 important conferences had been planned by myself and James in May for India and in June for Pakistan. I was determined to publish for the first time Milton’s 1955 memorandum on India which the Government of India had suppressed or ignored at the time. At the hotel-meeting, I told Milton that and requested him to come to the India-conference in May; Milton and Rose said they would think about it, and later confirmed he would come for the first two days. 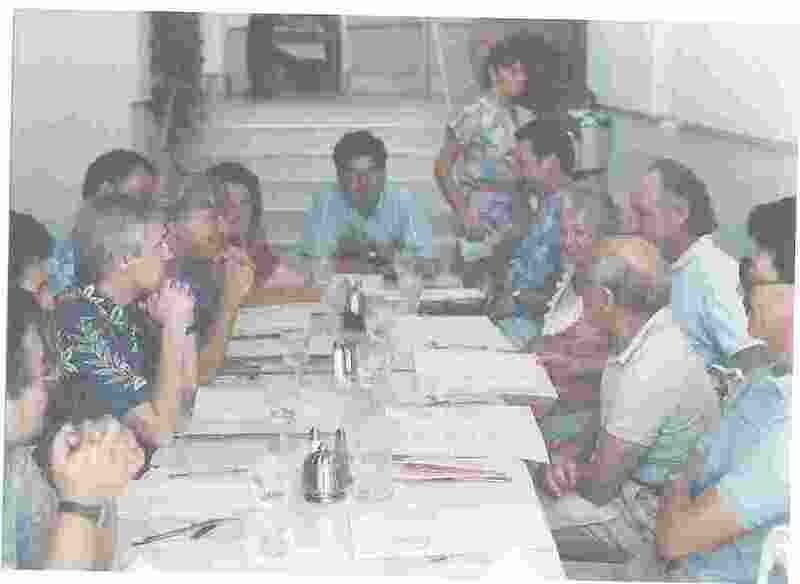 This is a photo of the initial luncheon at the home of the University President on May 21 1989. Milton and India’s Ambassador to the USA at the time were both garlanded with Hawaiian leis. The first photo was one of a joke from Milton as I recall which had everyone laughing. There was no equivalent photo of the distinguished scholars who gathered for the Pakistan conference a month later. 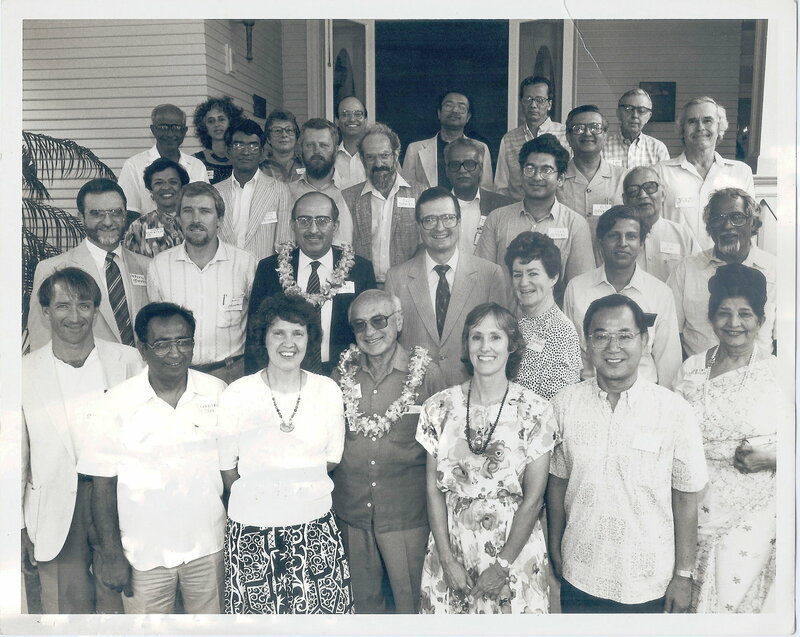 The reason was that from February 1989 onwards I had become the victim of a most vicious racist defamation, engineered within the Economics Department at Manoa by a senior professor as a way to derail me before my expected Promotion and Tenure application in the Fall. 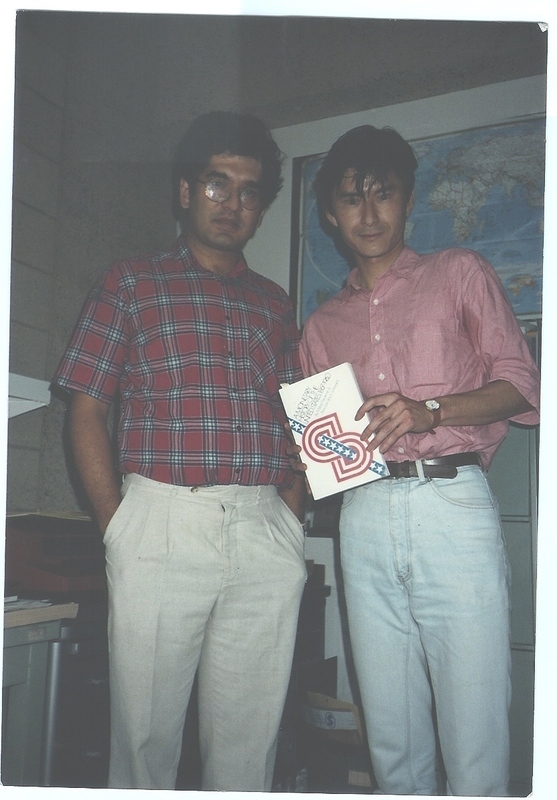 All my extra time went to battling that though somehow I managed to teach some monetary economics well enough in 1989-1990 for a Japanese student to insist on being photographed with me and the book we had studied. I was being seen by two or three temporarily powerful characters on the Manoa campus as an Uppity Indian who must be brought down. This time I decided to fight back — and what a saga came to unfold! It took me into the United States District Court for the District of Hawaii and then the Ninth Circuit and upto the United States Supreme Court, not once but twice. Milton Friedman and Theodore Schultz stood valiantly among my witnesses — first writing to the University’s authorities and later deposing in federal court. Unfortunately, government lawyers, far from wanting to uphold and respect the laws of the United States, chose to deliberately violate them — compromising a judge, suborning demonstrable perjury and then brazenly purchasing my hired attorney (and getting caught doing it). Since September 2007, the State of Hawaii’s attorneys have been invited by me to return to the federal court and apologise for their unlawful behaviour as they are required by law to do. They had not expected me to survive their illegalities but I did: I kept going. 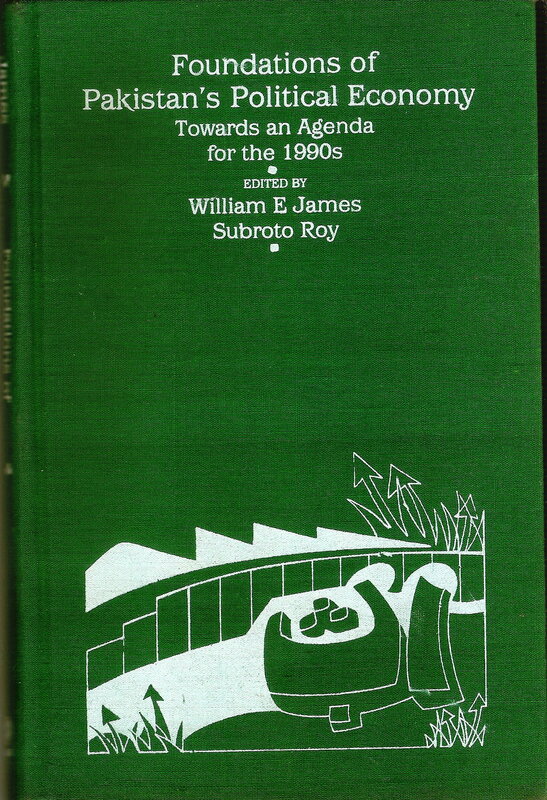 The sister-volumes on India and Pakistan emerging from the University of Hawaii project led by myself and James were published in 1992 and 1993 in India, Pakistan, Britain and the United States. As described elsewhere, the manuscript of the India-volume contributed to the origins of India’s 1991 economic reform during my encounter with Rajiv Gandhi in his last months; the Pakistan-volume came to contribute to the origins of the Pakistan-India peace process. The Indian publisher who had promised paperback volumes of both books reneged under leftwing pressure in Delhi; he has since passed away and James and I still await the University of Hawaii’s permission to publish both volumes freely on the Internet as copyright rests with the University President. In 2004 from Britain, I wrote to the 9/11 Commission stating that it was possible that had the vicious illegalities against me not occurred at Manoa starting in 1989, we may have gone on after India and Pakistan to study Afghanistan, and come up with a pre-emptive academic analysis a decade before September 11 2001. To be continued in Part Two. I have said here recently that some of the wisest advice President Obama or any leader anywhere can receive is that contained in Oliver Cromwell’s famous words “Think it possible you may be mistaken”. This seems especially significant in context of new American macroeconomic and financial policies. Mr Steve Clemons reports today there may be less intellectual diversity in the new President’s economic team than is possible or desirable; if so, conversation may become stifled and a greater propensity towards groupthink may arise, hence a greater likelihood of mistakes. It is possible the directions that different people might like to see the conversation extended are different, and that would be a good sign of course! For example, someone might think a Barro or a Mishkin could be the right addition of intellectual diversity, whereas others might suppose that to be the wrong direction towards more “market fundamentalism”. But it would be a pity if the economic conversation within the new Administration came to be artificially or ideologically circumscribed in any direction. Certainly I believe macroeconomic policy-discourse in the United States or elsewhere needs to proceed to a recognition of the existence of JM Keynes’s original concept of “involuntary unemployment” as well as to ask whether the actual unemployment happens to be or not be of this sort. (It may be “frictional” or “structural” or “voluntary” or “seasonal” etc, not the involuntary unemployment Keynes had meant.) Furthermore, even if significant involuntary unemployment is identified, it needs to be asked whether government policy can be expected to improve or worsen outcomes. The argument must be made either way, and, in John Wisdom’s phrase, “Argument must be heard”. 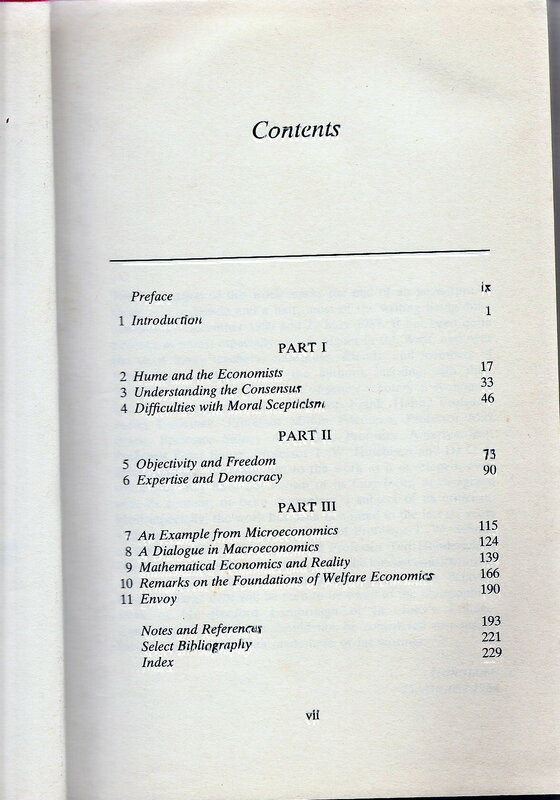 “A Dialogue in Macroeconomics” which was Chapter 8 of my 1989 book Philosophy of Economics (Routledge, Library of Congress HB 72.R69) may provide some useful ballast. The saga that followed the book’s publication left me unable to write about the US economy anymore, except briefly in 1992 and 1994-95 in Washington and New York, read only by a few friends. Now in late 2008, I have published “October 1929? Not!” and “America’s divided economists” which may be of interest too, and which are republished below as well. (ii) all those bad mortgages and foreclosures could vanish within a year or two by playing the demographic card and inviting in a few million new immigrants into the United States; restoring a worldwide idea of an American dream fueled by mass immigration may be the surest way for the American economy to restore itself. OUR next example is of quite a different sort, namely, the academic debate which has occurred in macroeconomics and monetary theory since Keynes’s General Theory of Employment, Interest and Money. This has of course received a great amount of attention, with innumerable commentaries having been written by many scores of protagonists and moderators around the world. Only a brief and highly simplified summary of these many conversations can be attempted here, within our limited objective of illustrating once more how it may be possible for critical discussion to be seen to proceed freely and yet objectively in economics. In the previous chapter we were fortunate to have had an actual conversation to consider; here our method shall have to be one of constructing a model of a conversation. In honour of Plato, we might name our conversants Athenian and Stranger. ATHENIAN Tell me, have you perhaps been following the discussions among macroeconomists? I shall be interested to know what you take their present state to be. STRANGER Indeed I have, though of course it is not possible or worthwhile to follow all of what has been said. But yes I have followed some of it, and certainly we can make it a topic of conversation. STRANGER Very well. Shall we do so in ‘36 with the publication of Keynes’s book? Rightly or wrongly, this must be considered a watershed in the history of modern economics, if only because most economists since have had either to admit its arguments in some measure or define and explain their disagreement. You’ll remember at one time it was said by many that Keynes had fathered a revolution in economic science. ATHENIAN Except Chicago and the Austrians. STRANGER Quite so. Now more recently a renewal of neoclassical thought has been under way, and many doubts have been raised about the keynesian consensus, so much so that some of the main questions of the thirties seem in modern form to continue to be at issue today. ATHENIAN The more things change, the more they stay the same! But when you say Keynes has been a central figure, I take it you mean only that he has been among the most influential and most discussed and nothing more. It is not to preclude judgement on the merits of his book, which is itself of very uneven clarity. Besides there has been too much idolatry and hagiography. STRANGER Yes, there is so often a rush to belief and worship. There may have been less if Keynes had survived longer. Yet I should say the broad aim of the work is not hard to see. Keynes himself clearly believes that he is starting a revolution — going so far as to suggest a comparison with contemporary physics. The first chapter says the book aims to provide a “general” theory, which will explain the traditional model as a “limiting” case. The second chapter says the theory of value has been hitherto concerned with the allocation of given resources between competing ends; Keynes is going to explain how the actual level of employment comes to be what it is. ATHENIAN And so begs the question? STRANGER Or does traditional theory? That seems to be at the heart of it. STRANGER The theory will be of the short run in Marshall’s sense of taking capital as a fixed factor. Traditional theory is said to postulate about the labour market (i) that the real wage equals the marginal product of labour, so there is an assumption of profit maximization by competitive producers giving rise to a short run demand curve for labour; and (ii) that the utility of the wage at a given level of employment equals the marginal disutility of that amount of employment; i.e., the real wage is just sufficient to induce the volume of labour which is actually forthcoming. So it can account for unemployment due to temporary miscalculations, or intermittent demand, or the refusal or inability of labour to accept a job at a given wage due to legislation or social practices or collective bargaining or obstinacy, or merely a rational choice of leisure — i.e., it can account for frictional and voluntary unemployment but not for what Keynes wants to call involuntary unemployment. What it can suggest is either such things as improvements in foresight, information, organization and productivity, or a lowering of the real wage. But Keynes’s critique will not have to do with such causes of the contemporary unemployment; instead the population is said to be seldom “doing as much work as it would like to do on the basis of the current wage…. More labour would, as a rule, be forthcoming at the existing money wage if it were demanded.” But it is not being demanded, and it is not being demanded because there has been a shortfall of “effective demand”. That is why there is as much unemployment as there is. ATHENIAN Or so Keynes claims. And he would take it the neoclassical view would be that it must be the real wage is too high; it is only because the real wage has not fallen by enough that unemployment continues. STRANGER Right. To which there are two observations. The first has to do with the actual attitude of workers towards the money wage and the real wage respectively. The traditional supply function of labour is a function of the latter; Keynes claims that at least within a certain range it must be workers are concerned more with the former. ATHENIAN And the second observation? STRANGER This may be of more interest. 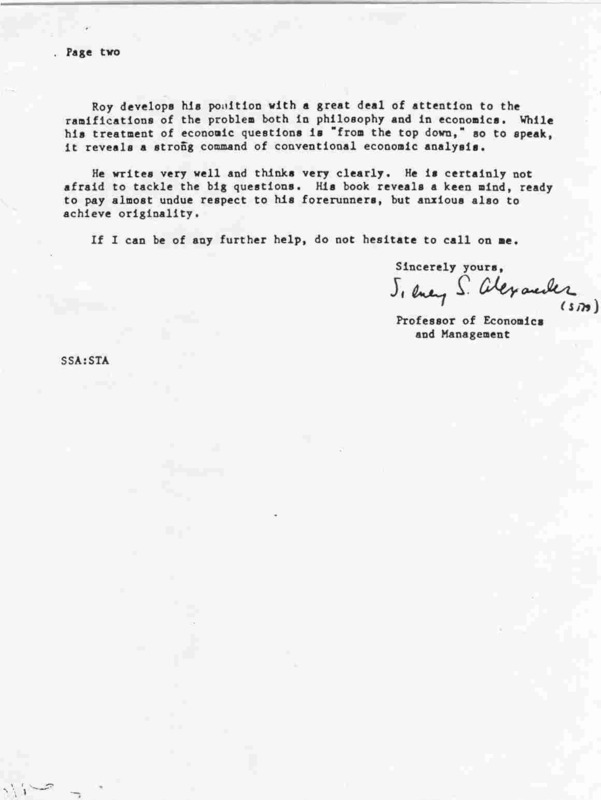 “Classical theory assumes that it is always open to labour to reduce its real wage by accepting a reduction in its money wage… [it] presumes that labour itself is in a position to decide the real wage for which it works…” Keynes does not find a traditional explanation why prices tend to follow wages, and suggests it could be because the price level is being supposed to be determined by the money supply according to the quantity theory. Keynes wants to dispute the proposition “that the general level of real wages is directly determined by the character of the wage bargain…. For there may be no method available to labour as a whole whereby…. [it] can reduce its real wage to a given figure by making revised money bargains with the entrepreneurs.” Hence he arrives at his central definition of involuntary unemployment: if the real wage falls marginally as a consequence of the price level rising with the money wage constant, and there is greater employment demanded and supplied in consequence, the initial state was one of involuntary unemployment. ATHENIAN You are saying then that Keynes’s intent is to establish the existence of involuntary unemployment? STRANGER At least a major part of the intent yes. To make the concept meaningful, to argue that it refers to a logical possibility, and also that much of the actual unemployment of the time may be falling under it, and is a result of lack of “effective demand”. ATHENIAN The neoclassicals have been said to be cavalier about fluctuations in economic activity, when in fact Wicksell and Marshall and Thornton, let alone Hawtrey or Hayek as Keynes’s own critics, certainly had profound enough theories of the cycle. Before we go further, I think we should remind ourselves of what they actually said. ATHENIAN Would you agree that can be summarized, then as now, as the quantity theory of money married to the theory of general equilibrium? STRANGER Though it may be better to speak of divorce perhaps rather than marriage, in view of the dichotomy. ATHENIAN From Smith to Mill, political economists broadly agree the role of government should extend and be restricted to such activities as defence, civil protection, the rule of law, the provision of public goods, education, the encouragement of competition, and so on. The traditional agenda does not as a rule include direct activity to restrain or otherwise change the natural course of trade, production, or consumption, and certainly no theory of what today is called macroeconomic policy. Underlying it is a broad belief that the competitive pursuit of private welfare within the necessary and minimal framework of the institutions of government, will result in tolerable social outcomes, and any further activity may be counterproductive. The State is after all endogenous to the economy, without any resources to its own name. STRANGER The minimal state, though not so minimal perhaps as we sometimes think. ATHENIAN The main function of money is seen to be that of facilitating real transactions. Hence the main component of the demand for money is the transactions demand, and the broad objective of monetary policy is the maintenance of the stability of the price of money. But this is recognized to be something elusive in practice, and fluctuations in economic activity are expected to occur in spite of the best intentions of the monetary authorities. ATHENIAN Well we might imagine two or three distinct but related markets: one for real investment and savings determined by intertemporal preferences, resources, and technologies; one a market for investment and savings defined in terms of money; one a short term credit market. The market for real investment and savings is, as it were, unobservable to the naked eye. Yet it drives the second and third markets for nominal savings and investment in which we actually participate. Monetary equilibrium requires the observable money rates of interest to equal the unobservable real rate of return on the market for physical capital. In particular, the real or natural rate of interest determined in the equilibrium of the first market is not, and perhaps ultimately cannot be, affected by nominal or monetary disturbances in the second or third markets. STRANGER Why call it “natural”? ATHENIAN In the sense it is a function of the real data of intertemporal preferences, resources, and technologies being what they are. If these data changed it should be expected to change too. But given these data, it would be the rate at which intertemporal constrained maximizations by individual agents resulted in planned present consumption equaling planned present production at the same time as planned future consumption equaled planned future production. STRANGER In other words, real planned savings equal real planned investment. ATHENIAN Exactly. It is the real interest rate, or rather the whole structure of own-rates and cross-rates at various terms, which is the key price signal for macroeconomic equilibrium. STRANGER “Natural” seems to me to carry a physiocratic connotation. A better nomenclature would replace it with something else — perhaps “equilibrium real rate” or just “walrasian” rate. ATHENIAN Very well, though I for one do not bias myself against the physiocrats! Now consider how a simple business cycle might occur on wicksellian lines. From a position of full real and monetary equilibrium, an expansion of credit has its first effect on the banks, increasing reserves and inducing more lending for reserve/deposit ratios to be restored, and so lowering the loan rate. But customers are only able to perceive a lowering of this nominal rate of interest and cannot know the equilibrium real rate has not changed. As far as households know, the relative price of present consumption has fallen and there is an incentive for greater consumption and lesser savings. As far as businesses know, the relative price of the future good has risen, and there is an incentive for greater investment. Inventories are run down, and markets for both consumer goods and capital goods are stimulated and show signs of excess demand. But if there was a walrasian equilibrium initially, then the economy will now show signs of inflation; with a gold standard, there would be increased demand for imports and an external drain of reserves, and even perhaps an internal drain if there was a panic and a run on the banks. The loan rate will have to rise once more to reign in reserves, but if the rate is now raised too high relative to the still unchanged real rate, there would be the makings of a recession. STRANGER Your point being that economists before Keynes had recognized the decentralized economy may be fluctuating continually. ATHENIAN Surely they had done so quite fully. A first set of causes such as wars, disasters, discoveries and migrations would change the real data of the economy, while a second set would be monetary disturbances like the failure of the authorities to adequately follow the dictates of the real data of the economy, i.e., failure to observe the equilibrium real rate of interest. It may even be intrinsic to the problem that they must fail in the attempt to observe, let aside compute, the equilibrium real rate warranted at a given time by the structure of the real data. STRANGER Hence the conclusion that they cannot hope to do better than establish a climate of monetary and fiscal stability, such as by declaring a long term policy and staying with it. ATHENIAN Exactly. Private economic agents already face endemic uncertainty with respect to changes in the real data, and must be assumed to not want more added by government policy. You appear to have seen my point nicely. STRANGER Very well. But you have jumped ahead as this kind of a conclusion sounds very modern to me. You made me stop all the way back at Keynes’s notion of effective demand! ATHENIAN As I said, the more things change, the more they stay the same. STRANGER Let us go back a little. I think we may be able to rejoin our initial route at a point which may bring us close to where we seem to have come by the route you have taken. Specifically suppose we go back to the question of the money wage and the real wage, and of the real wage being “too high”. ATHENIAN That has been interpreted a number of ways, has it not? STRANGER Yes it has. One would be to say Keynes was merely simple minded and assumed money illusion on the part of workers. Another would be to say Keynes assumed a short run context of fixed prices, so it would not make a difference whether labour happened to be concerned with changes in the real or the money wage. Yet a third would be to say Keynes, whether he realized it or not, had come upon a recondite truth about the sort of complex monetary economy in which we live — namely, that when transactions are quoted and made in a monetary economy, it may become difficult ipso facto for the walrasian equilibrium to be achieved. Even workers might fully recognize the real wage to be too high and be prepared to work more at a lower wage, but be unable to signal this willingness to potential employers. ATHENIAN So involuntary unemployment becomes another sort of equilibrium outcome. STRANGER Exactly. Not only of labour but of machines too, along with the unintended holding of inventories. It is as if firms would have sold what they had planned to if only workers had the income to buy it, which they would have done if only they had been able to sell as much labour they had planned to, which they would have done if only there had been an effective demand for it, which there would have been if firms had not cut back on production because they found themselves unable to sell what they had planned to sell. A kind of vicious circle, due to pessimistic and self-fulfilling expectations all around. ATHENIAN An unhappy solution to a non-cooperative game you might say. ATHENIAN A shot in the arm for enterprise in the hope of breaking the pessimism. But Keynes was hardly alone in such thinking. ATHENIAN And he certainly seemed to treat the opinions of others without due respect, which is to say he may have exaggerated the significance of his own. Hinting that he was the Einstein of economics set an especially bad example. Only the other day one eminence was comparing himself to Newton, and another was calling his friend Shakespeare. It will be Joyce and Pasternak next! STRANGER Flattery and nepotism are common weaknesses, my friend. Like the rush to belief and worship. ATHENIAN Besides you would have to assume the government to be outside the game, and only so being able to see the problem which private agents could not from inside the game. That may be too large an assumption, don’t you think? STRANGER Yes it may. Yet it seems to me pump-priming was a possible solution being offered to a temporary problem. Many of the controversies may have come about because it became institutionalized, because discretionary fiscal policy became a permanent part of the government agenda. ATHENIAN And a more direct route out was available too, was it not? With wealth placed in the consumption function directly, a deflation would increase the real value and affect effective demand directly. We would not have to wait for the roundabout effects through so-called liquidity preference. STRANGER Which in a way brings us back to a central pillar of traditional theory: with given real data and given velocity of circulation, desired holding of real money balances will roughly be constant. In particular the demand for real money balances should not be seen as a function of the interest rate. ATHENIAN The real rate or the monetary rate? STRANGER For neoclassicals certainly the real; Keynes does not seem clear. ATHENIAN There may lie a problem. STRANGER The title of the book says “Employment, Interest, and Money”. No question employment is real and money is money — interest is the bridge. If you ask me to bet I would say Keynes’s agents make real responses to signals expressed as they must be in a large economy in monetary terms. ATHENIAN Perhaps we ought to move on. Tell me, if you think Keynes’s book rightly or wrongly ranks as the most influential document of the last fifty years, would you agree it is Friedman’s address on the role of monetary policy which must rank second to it if not on a par with it? STRANGER Certainly there can be few competitors. 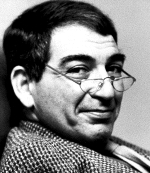 ATHENIAN Well then, it appears to me the net effect of Friedman’s critique has been a restoration of the wicksellian theory and a banishment of the keynesian theory. 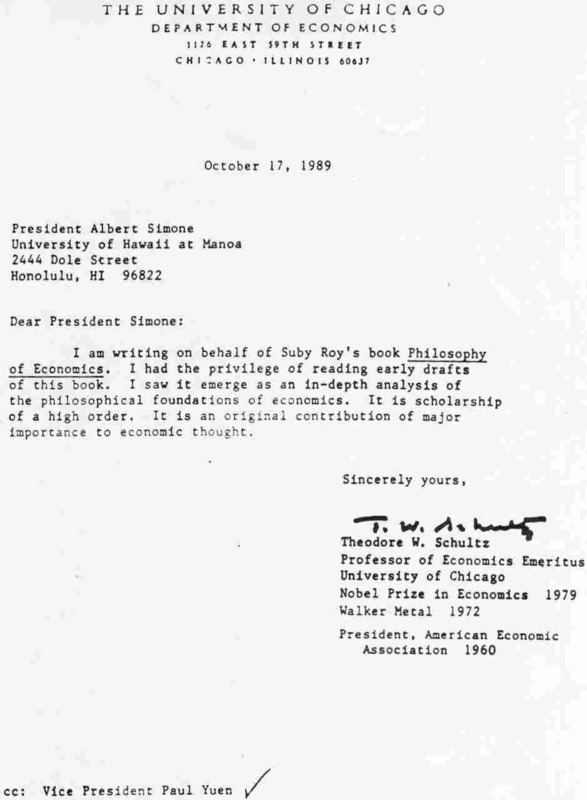 STRANGER Friedman of course makes his approach via a critique of the Phillips’ Curve. ATHENIAN Yes, but it is Wicksell whom he acknowledges in advancing the notion of a natural rate of unemployment, one which has been “ground out by the walrasian system of general equilibrium equations” — in other words, one which happens to be consistent with the structure of the real data of the economy at a particular time. STRANGER Though again we may as well speak of walrasian instead of natural. ATHENIAN A monetary policy which tried to peg unemployment at lower than such a rate (if such a rate could be determined, which it cannot) is likely to be counterproductive. The initial effect of an expansionary policy on a walrasian equilibrium may be to increase real output. Workers assume the increase to reflect an increase in the unobservable real demand for their services, and hence they expect a higher real wage. Businesses see the same and assume it to reflect an increase in the unobservable real demand for their goods. But given there was no real excess demand in the first place for either labour or goods, the effect outside anything but the short run will be a return to the initial structure of real wages, and the temporary decline in unemployment is reversed to the walrasian rate at higher prices. If the government tries to maintain unemployment at less than the walrasian rate, it will have to concede — indeed it will have caused — accelerating inflation without any real fall in unemployment. STRANGER And vice versa perhaps, so there would be a kind of knife-edge. ATHENIAN Now your remark about Friedman making his approach via the Phillips Curve seems to me interesting. We may have been too hasty to make a comparison with the debate in the thirties. For the world suffers a very real and severe shock between Keynes’s book and the keynesian consensus, which is the Second World War itself. STRANGER I am not sure I follow. ATHENIAN Well think of the consensus afterwards on the need for macroeconomic policy — it is actually Tinbergen’s notion of a “policy-maker” which is married to what seems to be Phillips’s finding of a trade-off between inflation and unemployment. It becomes the role of the macroeconomist to advise the politician on how to minimize social disutility from inflation and unemployment subject to the Phillips Curve. Macroeconomics becomes a so-called “policy science”. Give your expert economist your social utility function, and he will tell you where to slide to on your Phillips Curve. STRANGER The available instruments being money supply and tax rates. That is what I meant in saying Keynes’s idea became institutionalized. ATHENIAN It seems to me this consensus is born out of the War. ATHENIAN Well just think of the structural problems of the time: demobilization of large armies, reconstruction, all the displaced peoples, and so on. What are democratic governments to do? Say to their voters, right, thank you very much, now could you please go home quietly? What could have been expected except an Employment Act? Governments were going to help their returning citizens find work, or at least it would have seemed irresponsible if they had not said they were going to. STRANGER You are saying then that Friedman may have been arguing against a new orthodoxy, grown out of what might have been a sensible idea. ATHENIAN Exactly. The world is a very different place now than in 1945, in ‘45 than in ‘33, in ‘33 than in 1914. Real shocks every time. It may be a grave mistake for us to look for a unique and universal theory which is supposed to explain all particular circumstances, all of history. STRANGER Reminds me of the historical school. STRANGER It does sound very modern. ATHENIAN Now Lucas speaks of how the advice that economists give should be limited only to “the well understood and empirically substantiated propositions of monetary economics, discouragingly modest as these may be.” What can we take him to mean? It seems to me he is sharing Friedman’s scepticism of the possibilities which had been claimed for macroeconomics by the keynesian consensus. And that surely has been a healthy scepticism, befitting good economists. STRANGER As I said, there is so often a rush to belief. ATHENIAN Which is really disastrous when combined with the craving for power. STRANGER But the question remains, does it not, as to which propositions of monetary economics are to be considered “well understood and empirically substantiated”. I cannot help think the propositions taken to be well understood and empirically substantiated in Chicago may be very different from those taken to be well understood and empirically substantiated in Cambridge, or for that matter, those in the U. S. from those in Europe. ATHENIAN I don’t see any difficulty in this. For first, it would have been granted there are propositions in economics which can be well understood and empirically substantiated. And that must be counted as progress! For something cannot be well understood if it cannot be understood at all, and where there is the possibility of understanding there must be the possibility of objective knowledge as well. And second, why should we not say the most appropriate task of economic theory or analytical economics is simply one of clarification and elucidation of the conceptual basis of economic thinking and expression? All theory ultimately is, or ought to be, “Critique of Language”. When we are faced with a particular and concrete problematic situation, the theorist is to whom we turn for conceptual guidance and criticism. If instead you take the role of the theorist to be one of searching the universe for grand and general and absolute and abstract truths, which need to be discovered before we can say anything about some concrete set of particulars, then it seems to me you will be either struck dumb by a total and debilitating scepticism or become very shrill in your dogmatism or alternate wildly between the two. To me it seems unimportant ultimately to whose flag one shows allegiance, or indeed that allegiance to any flag must be shown. STRANGER It seems again I will not disagree. But you have sketched the critique of Friedman and Lucas and indeed the ghost of Wicksell addressed to the dogmas of the keynesian orthodoxy. And I have agreed with you this has been a healthy criticism of the sort we should expect economists to provide. But there has been serious question too of the framework used by Friedman and Lucas, hasn’t there? I am thinking especially of Tobin and Hahn. ATHENIAN Tobin has done much to add clear and reasonable thinking about Keynes — his suggestion that a certain amount of inflation may be the only way to bring down real wages towards their walrasian rates in complex monetary economics is especially interesting; it shows how wide the common ground can be upon which the debate may occur. But you will have to tell me what Hahn’s criticisms have been. I have always found them too abstract and too caustic. STRANGER That they tend to be, but don’t let that deter you. As I see it, Hahn argues somewhat as follows. 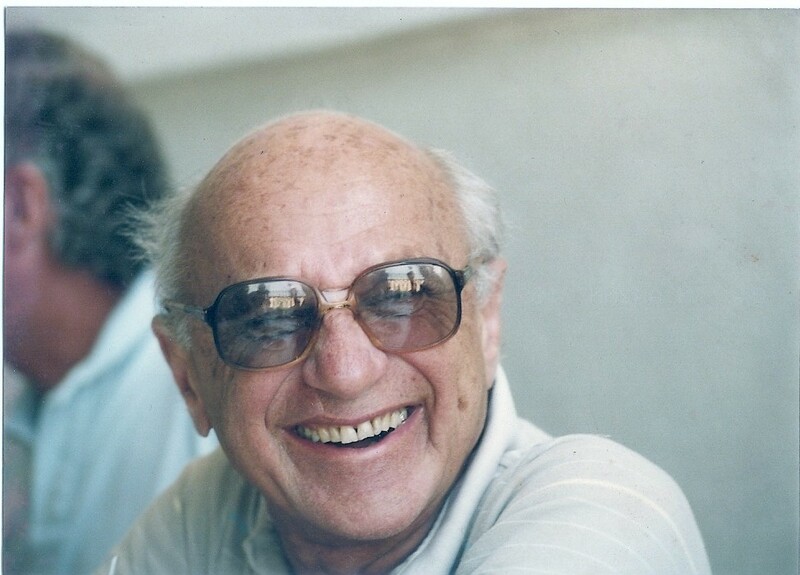 We should grant Friedman and Lucas two important points: first, the government is itself a large economic agent whose actions and announced plans enter the calculations of private agents; secondly, erratic changes in monetary policy away from a steady k% rule may have perverse effects “by confusing signals of relative scarcity with those that arose from the monetary policy”. Also, we may accept that the assumptions sufficient for a full walrasian equilibrium with rational expectations suffice for the absence of any persistent involuntary unemployment by Keynes’s definition. But Hahn would say this may not be the relevant empirical description. STRANGER Well for one thing the pricing axiom or the recontracting assumption of stability theory remains unexplained. It is possible traders will face quantity constraints, and this often seems so in markets for labour and credit. We may simply find prices not moving in the direction of excess demand even when a quantity constraint happens to be binding. The structure of wages may be “neither fixed, nor arbritrary, nor inflexible; it is what it is because given conjectures, no agent finds it advantageous to change it.” Moreover, it may not be plausible to suppose there will be convergence after arbitrary displacements back towards a stable equilibrium, because the conditions for stability are very stringent and uniqueness of equilibrium may also need to be postulated. Furthermore, it may be quite unsatisfactory to treat money in models which are isomorphic to the Arrow-Debreu model, because in such a world there is no logical use for money, so there must be some essential features of reality which have failed to be features of the model. ATHENIAN You don’t think Patinkin’s integration was adequate? STRANGER For many practical purposes perhaps, but certainly not to full logical satisfaction. If you put real money balances into the utility function and treat money just about like any other good, you have to be prepared to accept a possible equilibrium in which the price of money is zero. Lastly, if there are internal debts denominated in money as there are in fact, you may not assume equiproportional changes in all prices will not have real effects, unless you are prepared to assume away redistributions between creditors and debtors, which you can do only under another assumption that all households have parallel and linear Engel curves through the origin. Hahn’s line of argument is admittedly abstract, but you will have to admit it raises some fundamental questions. ATHENIAN Another example we might say of the healthy scepticism of the theorist. It seems my turn to agree with you. But we can imagine replies too can we not? STRANGER What do you have in mind? ATHENIAN Well to argue there can be unemployment which is involuntary is not to have argued that an employment policy can be expected to remove it. This seems a premise and conclusion too frequently confounded by both keynesians and their critics, with disastrous consequences. Then, Buchanan would argue that a more thorough characterization needs to be given of the making of government policy, especially when it is proposed to supplant the market outcome. Policies are after all proposed, enacted, and put into effect by actual people — all of whom may need to be assumed to be pursuing private rewards as well in the course of their public duties. The relevant description for the economist needs to be one including this further fact that actual proposals of public policy can embody the private interests of the proposers too. STRANGER Making it that much more difficult to determine what is in the public interest in a given case. ATHENIAN Exactly. And so reinforcing the case for predictability and an orderliness in the framework of government. STRANGER But we have been talking now for quite long enough my friend. I seem to feel a fear too that we have not gained anything at all in our discussions. ATHENIAN Don’t be so pessimistic! Surely the point of reconstructing such conversations as we have done is not to hold absolutely to the matters raised in them. You and I after all have been making summary and highly simplified and unauthorized interpretations. I take the point of it to have been clarifying our thoughts, and perhaps to show ourselves how discussion can proceed between economists of different schools of thought. Arguments might come to a halt for any of a number of reasons, but they needn’t be supposed to have any logical or necessary end. Too often we let people retreat into different dogmatic positions, fostering the belief that each is starting from some set of absolute axioms ultimately irreconcilable with those of the other. We may need to keep insisting instead that the pursuit of knowledge and understanding is an open-ended activity with potentially indefinite limits. It yields conclusive results but has no absolute end. You or I might call a halt and retire from it, but that will not mean it cannot or will not continue without us. “Lehman Brothers filing for bankruptcy protection, Merrill Lynch taken over by Bank of America, Fannie Mae and Freddie Mac and now AIG being nationalised by the US Government, Bear Stearns getting a government bailout, many thousands of low-quality loans going bad … Does it all add up to an American financial crisis in the autumn of 2008 comparable to that in the autumn of 1929? Even Alan Greenspan himself has gone on record on TV saying it might. But there are overriding differences. Most important, the American economy and the world economy are both incomparably larger today in the value of their capital stock, and there has also been enormous technological progress over eight decades. Accordingly, it would take a much vaster event than the present turbulence — say, something like an exchange of multiple nuclear warheads with Russia causing Manhattan and the City of London to be destroyed — before there was a return to something comparable to the 1929 Crash and the Great Depression that followed. Besides, the roots of the crises are different. What happened back then? In 1922, the Genoa Currency Conference wanted to correct the main defect of the pre-1914 gold standard, which was freezing the price of gold while failing to stabilise the purchasing power of money. From 1922 until about 1927, Benjamin Strong of the Federal Reserve Bank of New York adopted price-stabilisation as the new American policy-objective. Britain was off the gold standard and the USA remained on it. The USA, as a major creditor nation, saw massive gold inflows which, by traditional gold standard principles, would have caused a massive inflation. Governor Strong invented the process of “sterilisation” of those gold inflows instead and thwarted the rise in domestic dollar prices of goods and services. Strong’s death in 1928 threw the Federal Reserve System into conflict and intellectual confusion. Dollar stabilisation ended as a policy. Surplus bank money was created on the release of gold that had been previously sterilised. The traditional balance between bulls and bears in the stock-market was upset. Normally, every seller of stock is a bear and every buyer a bull. Now, amateur investors appeared as bulls attracted by the sudden stock price rises, while bears, who sold securities, failed to place their money into deposit and were instead lured into lending it as call money to brokerages who then fuelled these speculative bulls. As of October 22, 1929 about $4 billion was the extent of such speculative lending when Chase National Bank’s customers called in their money. Chase National had to follow their instructions, as did other New York banks. New York’s Stock Exchange could hardly respond to a demand for $4 billion at a short notice and collapsed. Within a year, production had fallen by 26 per cent, prices by 14 per cent, personal income by 14 per cent, and the Greatest Depression of recorded history was in progress — involuntary unemployment levels in America reaching 25 per cent. That is not, by any reading, what we have today. Yes, there has been plenty of bad lending, plenty of duping shareholders and workers and plenty of excessive managerial payoffs. It will all take a large toll, and affect markets across the world. “Future doctoral theses about the Great Tremor of 2008 will ask how it was that the Fed chief, who was an academic economist, came to back so wholeheartedly the proposals of the investment banker heading the US Treasury. If Herbert Hoover and FDR in the 1930s started something called fiscal policy for the first time, George W Bush’s lameduck year has marked the total subjugation of monetary policy. 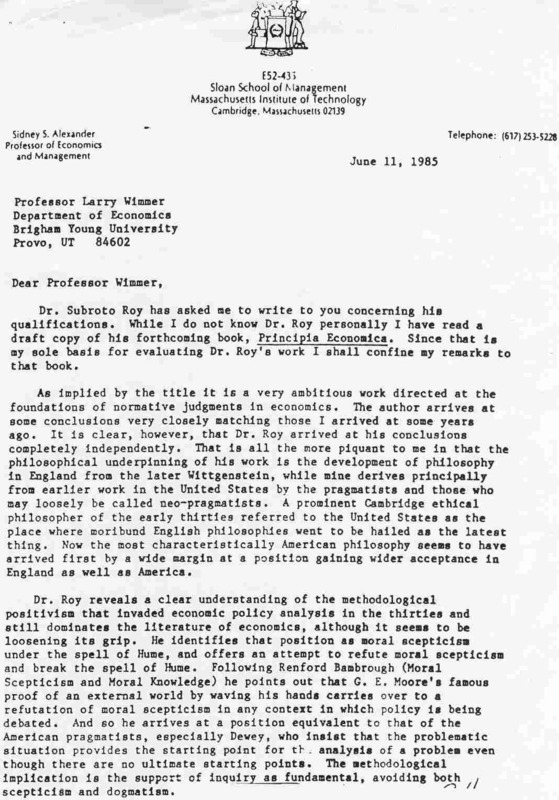 In his 1945 classic, History of Banking Theory, the University of Chicago’s Lloyd Mints said: “No reorganisation of the Federal Reserve System, while preserving its independence from the Treasury, can offer a satisfactory agency for the implementation of monetary policy. The Reserve banks and their branches should be made agencies of the Treasury and all monetary powers delegated by Congress should be given to the Secretary of the Treasury…. It is not at all certain that Treasury control of the stock of money would always be reasonable… but Treasury influence cannot be excluded by the creation of a speciously independent monetary agency that cannot have adequate powers for the performance of its task…” Years later, Milton Friedman himself took a similar position suggesting legislation “to end the independence of the Fed by converting it into a bureau of the Treasury Department…”(see, for example, Essence of Friedman, p 416). The House’s initial bipartisan “backbench revolt” against “The Emergency Economic Stabilisation Act of 2008” (ESSA) followed this academic argument and rejected the Bernanke Fed’s advice. Is there an “emergency”, and if so what is its precise nature? Is this “economic stabilisation”, and if so, how is it going to work? The onus has been on Dr Bernanke and his staff to argue both, not merely to assert them. Even if the House “held its nose” and passed the measure for now, the American electorate is angry and it is anybody’s guess how a new President and Congress will alter all this in a few months. Beyond the short run, the US may play the demographic card by inviting in a few million new immigrants (if nativist feelings hostile to the outsider or newcomer can be controlled, especially in employment). Bad mortgages and foreclosures would vanish as people from around the world who long to live in America buy up all those empty houses and apartments, even in the most desolate or dismal locations. If the US’s housing supply curve has moved so far to the right that the equilibrium price has gone to near zero, the surest way to raise the equilibrium price would be by causing a new wave of immigration leading to a new demand curve arising at a higher level. Such proposals seek to address the problem at its source. They might have been expected from the Fed’s economists. Instead, ESSA speaks of massive government purchase and control of bad assets “downriver”, without any attempt to face the problem at its source. This makes it merely wishful to think such assets can be sold for a profit at a later date so taxpayers will eventually gain. It is as likely as not the bad assets remain bad assets. Would not a few million new immigrants solve America’s mortgage crisis? America was at its best when it was open to mass immigration, and America is at its worst when it treats immigrants with racism and worse (for seeming “uppity”). All those bad mortgages and foreclosures could vanish within a year or two by playing the demographic card and inviting in a few million new immigrants into the United States. They would pour in from China, Vietnam, Thailand, Philippines, Indonesia, Mexico, South America, South Africa, Nigeria, Egypt, Israel, Poland, Romania, Hungary, Belarus, Ukraine, Russia, Uzbekistan, Kazakhstan, India, Sri Lanka, Bangladesh, and yes, Pakistan too, and more. They would happily buy up all those empty houses and apartments, even in all those desolate dismal locations. If the USA’s housing supply curve has moved so far to the right that the equilibrium price has gone to near zero, the surest way to raise the equilibrium price would be by causing a new wave of immigration leading to a new demand curve arising at a higher level. But yes, nativist feelings of racism towards the outsider or the newcomer would have to be controlled especially in employment — racists after all are often rather “sub-prime” themselves and hence unable to accept characters who may be “prime” or at least less “sub-prime” from foreign immigrant communities. Restoring a worldwide idea of an American dream fuelled by mass immigration may be the surest way for the American economy to restore itself. “$700 billion comes to more than, uhhhm, $6,000 per income taxpayer in the USA. I was glad to see the sensible letter of 122 American economists to US legislators regarding the Paulson-Bernanke plan to address America’s financial crisis. During the University of Hawaii perestroika-for-India project two decades ago, I had wished to attract Sukhamoy Chakravarty from Delhi. He very kindly met me on July 14 1987 and presented me his last personal signed copy of the famous RBI report his committee had chaired. He said he could not come to Hawaii because of ill health but he strongly recommended I take C. Rangarajan instead because, he said, Dr Rangarajan was the main author of the report. I met Dr Rangarajan in Kolkata at Jadavpur University where he was giving a speech in his role as President of the Indian Economic Society that year. Later in correspondence, he wrote to say he was over-committed but that if I took Amaresh Bagchi instead, he would help co-author Bagchi’s contribution to our project. So I commissioned Amaresh Bagchi, then Director of New Delhi’s National Institute of Public Finance and Policy. In my next project-related visit to Delhi in December 1988, I met Amaresh Bagchi personally for the first time; he was about to retire or had already done so. He told me he knew my name from the fact the High Commission of India in London had sent the Finance Ministry in Delhi the May 29 1984 lead editorial of The Times of London on my work which had been very critical of Indian economic policy; Bagchi had been at the time in the Finance Ministry, and, as an old sarkari statist, had naturally taken exception to what I had said by way of liberal criticism. He wished to co-write his contribution for our Hawaii project with a young colleague of his; I declined permission for him to do that and told him our understanding was that Dr Rangarajan would be writing with him. 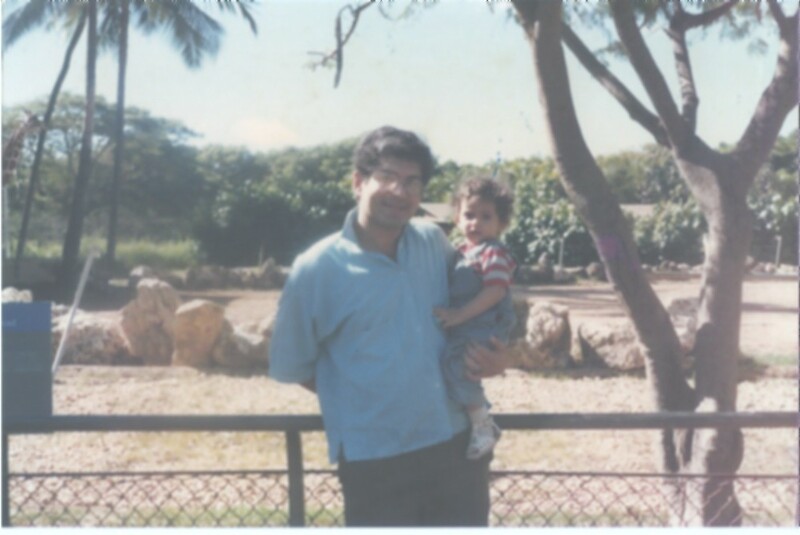 In any case, in May 1989, Amaresh was the first person to reach Honolulu in the team we had put together for the project, arriving early by several days. He was all alone and seemed miserable, so I took him to the supermarket and later invited him to dine with my small family at our home at Punahou Towers, 1621 Dole Street. It pleased him to eat some home-cooked Indian food, and he warmed slightly. He told me he had joined the Government as a bureaucrat in the income tax department and later acquired a doctoral degree in economics, though I did not get a sense that he was familiar with traditional public finance of the sort in Richard Musgrave’s classic textbook. I gifted him a copy of James Buchanan’s lectures that I had put together when Professor Buchanan had visited the University of Hawaii at my invitation in 1988 and which the University had then published with a preface by myself. He remarked he found it terrible that American supermarkets had all this canned pet food when the world was so hungry. Later I invited him to a larger dinner party again at my home before the conference began. At the conference itself, I placed him next to Milton Friedman, which some said was a master-stroke. There was a long and somewhat heated interchange between him and TN Srinivasan, though not with Milton, as Milton was, as always, invariably polite, patient and clear-headed in argument for the two days that he stayed. Today’s newspapers report Amaresh Bagchi’s passing and say that “When (Manmohan) Singh was finance minister in the early 1990s, Bagchi was one of his key advisers on fiscal policy”. Dr Singh has described Bagchi as “one of our most distinguished fiscal policy experts” and said “It is no exaggeration to state that Amaresh has been associated with almost every major fiscal policy reform in the past 30 years”. I am afraid I disagree with the Prime Minister of India in that I do not see any “major fiscal policy reform” having taken place at all in India, just a lot of unsystematic tinkering here and there. The root cause has been the failure to face or want to comprehend the extremely dismal state of government and public sector accounts throughout the country. Without proper government accounting, there can be neither accountability nor any serious fiscal policy, and hence no serious monetary or macroeconomic policy either. My two main works, namely my book of 19 years ago Philosophy of Economics: On the Scope of Reason in Economic Inquiry (first published by Routledge, London & New York, 1989, 1991), and my monograph of 24 years ago Pricing, Planning and Politics: A Study of Economic Distortions in India (first published by the Institute of Economic Affairs, London, 1984) are both now republished here, each with a new preface. 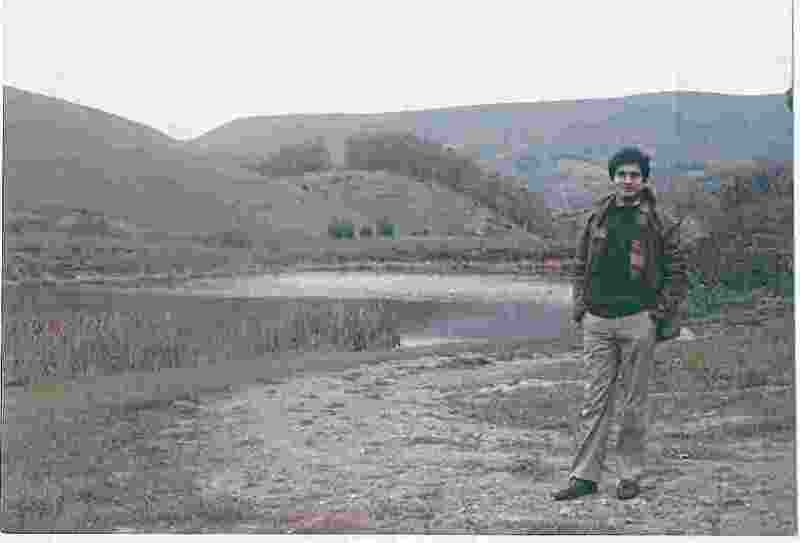 I have also published here for the first time the full story of my encounter with Rajiv Gandhi — an abbreviated version appeared in Freedom First in October 2001 which focussed on economic policy and deliberately excluded mention of my warnings about his vulnerability to assassination and my attempts in vain to get people around him to do something about it. I have also republished my three advisory memoranda to him between September 1990 and March 1991, which were first published in The Statesman‘s Editorial Page of July 31, August 1 and August 2 1991. I have also published here now for the first time a public lecture I gave as the Wincott Visiting Professor of Economics at the University of Buckingham in 2004 titled “Science, Religion, Art and the Necessity of Freedom”. Also republished is “A General Theory of Globalization and Modern Terrorism” which was my keynote address to the Council of Asian Liberals and Democrats at their Manila meeting in November 2001; it appeared first in September 11 & Political Freedom: Asian Perspectives (eds. Smith, Gomez & Johannen) in Singapore in 2002. I have also published for the first time my April 29 2000 address titled “Towards a Highly Transparent Monetary & Fiscal Framework for India’s Union and State Governments” to the Reserve Bank’s Annual “Conference of State Finance Secretaries”. Also to be found in one place are my most recent signed writings since 2005 in The Statesman and elsewhere on India’s economy and foreign policy, Jammu & Kashmir, Pakistan, Afghanistan, China, Tibet, Taiwan, the United States, etc. My political affiliation in India would be to a non-existent party — as may be seen from the article on a Liberal Party for India; and I trust it will be seen that I have dispensed criticism upon the present-day Congress Party, BJP/RSS and Communists equally harshly. Readers are welcome to quote from my work under the normal “fair use” rule, but please quote me by name and indicate the place of original publication. Readers are also welcome to comment or correspond by email, though please try to introduce yourself. The new preface of Philosophy of Economics is reproduced below as it is partly biographical. “(Philosophy of Economics) germinated when I was 18 or 19 years of age in Paris, Helsinki and London, and it was first published when I was 34 in Honolulu. I came to economics from natural science (biology, chemistry, physics), not mathematics. It was inevitable I would be drawn to the beauty of philosophy as a theoretical discipline while being driven, as a post-Independence Indian, to economics as the practical discipline that might unlock secrets to India’s prosperity and progress. 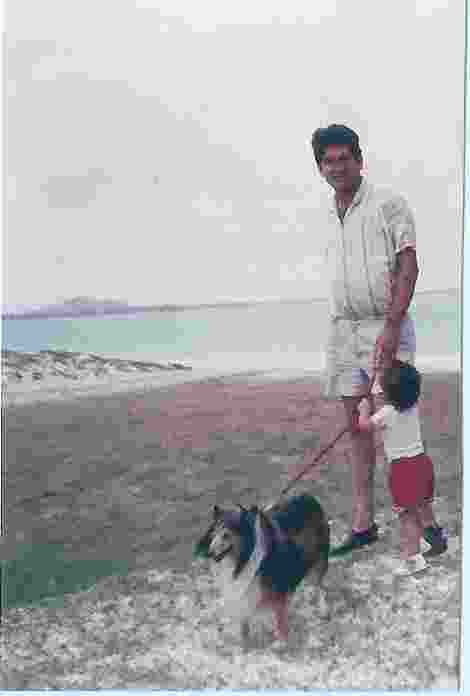 I belonged to an ancient family of political men, and my father, who had joined India’s new foreign service the year before I was born, inculcated in me as a boy an idea that I had “a mission” (though he later forgot he had done so). I was fortunate to fail to enter Oxford’s PPE and instead go to the London School of Economics. 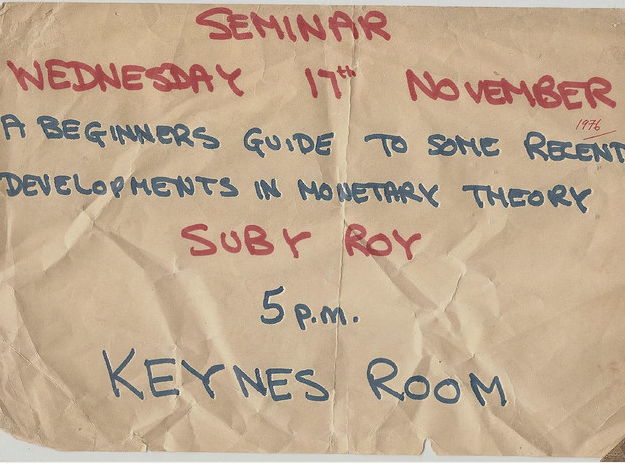 LSE was at an intellectual peak in the early 1970s. DHN Johnson in international law, ACL Day in international monetary economics, Brian Griffiths vs Marcus Miller in monetary economics with everyone still in awe of Harry Johnson’s graduate lectures in macroeconomics, Ken Wallis, Graham Mizon, JJ Thomas, David Hendry in econometrics with the odd lecture by Durbin himself – I was exposed to a fully grown up intellectual seriousness from the day I arrived as an 18 year old. 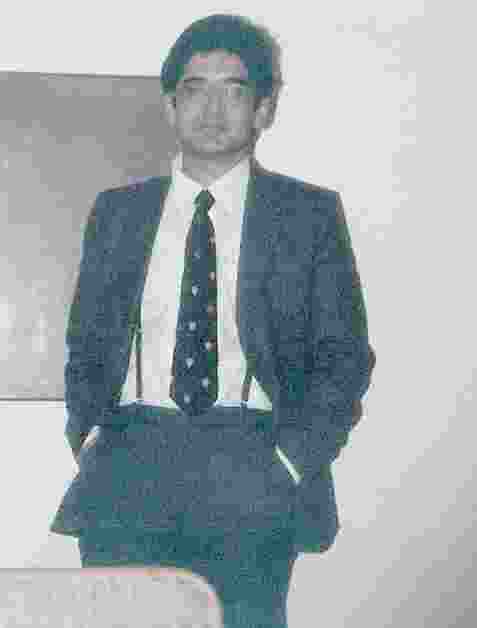 Michio Morishima as my professorial tutor told me frankly that, as an Indian, I would face less prejudice in Western academia than in the private sector, and said he was speaking from experience as a fellow-Asian. He turned out to be wrong but it was wise advice nevertheless, just as wise as his requiring pupils to read Hicks’ Value and Capital (which, in our undergraduate mythology, he himself had read inside a Japanese gunboat during war). What was relatively weak at LSE was general economic theory. We were good at deriving the Best Linear Unbiased Estimator but left unsatisfied with our grasp of the theory of value that constituted the roots of our discipline. I managed a First and was admitted to Cambridge as a Research Student in 1976, where fortune had Frank Hahn choose me as a student. That at the outset was protection from the communist cabal that ran “development economics” with whom almost all the Indians ended up. I was wholly impecunious in my first year as a Research Student, and had to, for example, proof-read Arrow and Hahn’s General Competitive Analysis for its second edition to receive 50 pounds sterling from Hahn which kept me going for a short time. My exposure to Hahn’s subtle, refined and depthless thought as an economist of the first rank led to fascination and wonderment, and I read and re-read his “On the notion of equilibrium in economics”, “On the foundations of monetary theory”, “Keynesian economics and general equilibrium theory” and other clear-headed attempts to integrate the theory of value with the theory of money — a project Wicksell and Marshall had (perhaps wisely) not attempted and Keynes, Hicks and Patinkin had failed at. 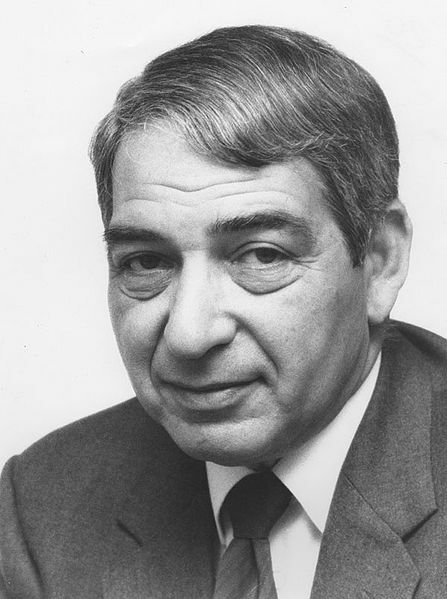 Though we were never personal friends and I did not ingratiate myself with Hahn as did many others, my respect for him only grew when I saw how he had protected my inchoate classical liberal arguments for India from the most vicious attacks that they were open to from the communists. 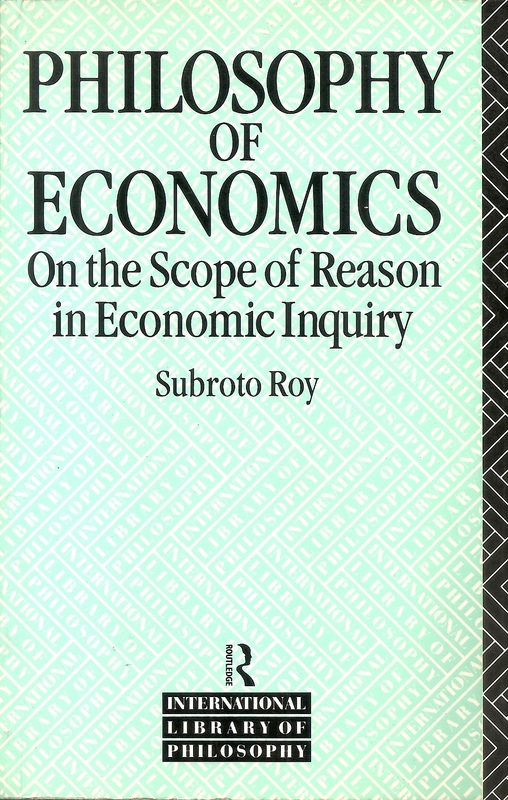 My doctoral thesis, initially titled “A monetary theory for India”, had to be altered due to paucity of monetary data at the time, as well as the fact India’s problems of political economy and allocation of real resources were more pressing, and so the thesis became “On liberty and economic growth: preface to a philosophy for India”. 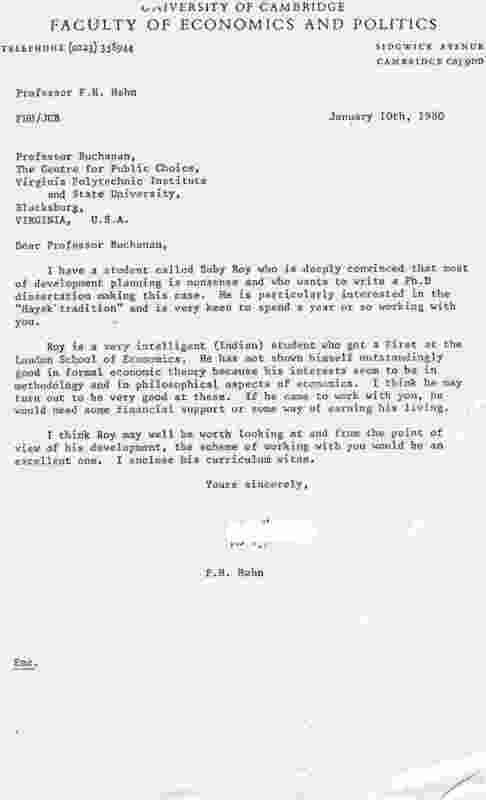 When no internal examiner could be found, the University of Cambridge, at Hahn’s insistence, showed its greatness by appointing two externals: C. J. Bliss at Oxford and T. W. Hutchison at Birmingham, former students of Hahn and Joan Robinson respectively. My thesis received the most rigorous and fairest imaginable evaluation from them. It has taken me more than a quarter century to traverse some of that expanse; when I returned to Britain in 2004 as the Wincott Visiting Professor of Economics at the University of Buckingham, I was very kindly allowed to deliver a public lecture, “Science, Religion, Art and the Necessity of Freedom”, wherein I repaid a few of my debts to the forgotten work of Bambrough and Wisdom — whom I extravagantly compared with the Bodhisattvas of Mahayana Buddhism, also saying that the trio of Wittgenstein, Wisdom and Bambrough were reminiscent of what Socrates, Plato and Aristotle might have been like. All I needed in 1980 was time and freedom to develop the contents of this book, and that I found in America — which I could not have done in either Britain or India. It would take eight or nine very strenuous years before the book could be written and published, mostly spent at Virginia Polytechnic Institute (1980-1985) and University of Hawaii (1986-1990) Economics Departments, with short interludes at Cornell (Fall 1983) and Brigham Young (1985-86). I went to Virginia because James M. Buchanan was there, and he, along with FA Hayek, were whom Hahn decided to write on my behalf. Hayek said he was too old to accept me but wrote me kind and generous letters praising and hence encouraging my inchoate liberal thoughts and arguments. Buchanan was welcoming and I learnt much from him and his colleagues about the realities of public finance and democratic politics, which I quickly applied in my work on India, published in 1984 in London as Pricing, Planning & Politics: A Study of Economic Distortions in India and republished elsewhere here. 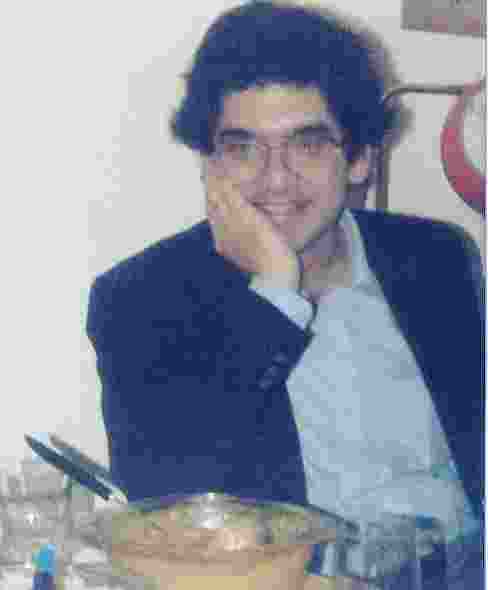 The visit to the Cornell Economics Department was really so I could talk to Max Black the philosopher, who represented a different line of Wittgenstein’s students, and Max and I became friends until his death in 1988. Buchanan’s departure from Blacksburg led to a gang of inert “game theorists” to arrive, and I was immediately under attack – one senior man telling me I was free to criticise the “social choice” work of Amartya Sen (since he was Indian too) but I was definitely unfree to do the same of Sen’s mentor, Kenneth Arrow, who was Jewish! (Arrow was infinitely more gracious when he himself responded to my criticism.) On top of that arose a matter of a woman, fresh off the aeroplane from India, being assaulted by a senior professor, and when I stood for her against her assailant, my time in Blacksburg was definitely up. The manuscript of this book was at the time under contract with University of Chicago Press, and, thanks to Mrs Harry Johnson there, I had come in contact with that great American, Theodore W. Schultz. Schultz, at age 81, told me better to my face what the book was about than I had realised myself, namely, it was about economics as knowledge — its subject-matter was the epistemology of economics. Schultz wrote letters all over America on my behalf (as did Milton Friedman at Stanford and Sidney Alexander of MIT, whom I had also met and become friends with), and I was able to first spend a happy year among the Mormons at Brigham Young, and then end up at the University of Hawaii where I was given responsibility for the main graduate course in macroeconomics. I taught Harry Johnson-level IS-LM theory and Friedman-Tobin macroeconomics and then the new “rational expectations” vs Keynesian material. I was also offered a large University grant to work on “South Asia”, which led to the books Foundations of India’s Political Economy: Towards an Agenda for the 1990s, and Foundations of Pakistan’s Political Economy: Towards an Agenda for the 1990s, both created by myself and WE James, and which led to the origins of India’s 1991 economic reform and the India-Pakistan peace process as told elsewhere. Also, this book came to be accepted for publication by Routledge, as the first economics book in its famed International Library of Philosophy. Just as I was set to be evaluated for promotion and tenure at the University of Hawaii, I became the victim of a most vicious racist defamation (and there was some connection with Blacksburg). Quite fed up with the sordidness of American academia as I had experienced it, I sued in the federal court, which consumed much of the next half dozen years as the case worked its way through the United States Supreme Court twice. Milton Friedman and Theodore W. Schultz stood as expert witnesses on my behalf but you would not have known it from the judge’s ruling. 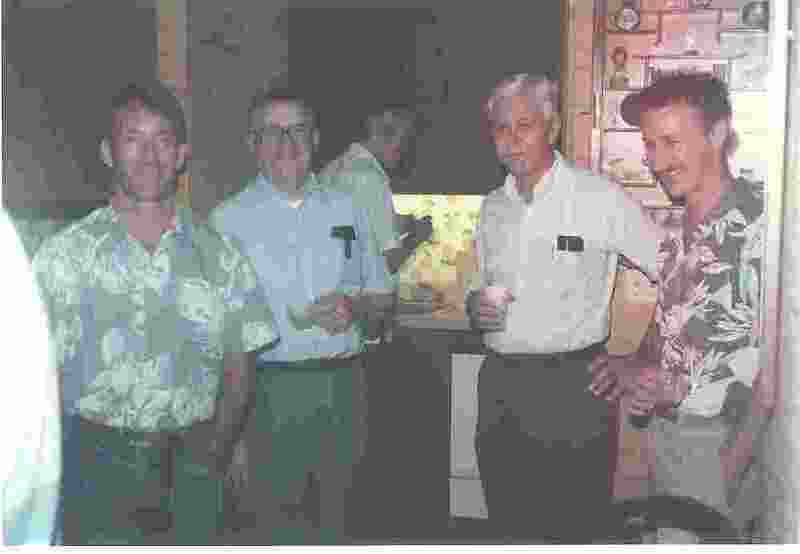 There had been not only demonstrable perjury and suborning of perjury by the State of Hawaii’s officers, there was also “after-discovered” evidence of bribery of court-officers in the US District Court for the District of Hawaii, and I had to return to India in 1996 quite exhausted to recuperate from the experience. “Solicitation of counsel, clerks or judges” is “embracery curialis”, recognized as extrinsic fraud and subversion of justice since Jepps 72 E R 924 (1611), “firmly established in English practice long before the foundation” of the USA, Hazel Atlas, 322 US 238 (1943). “Embracery is an offense striking at the very foundation of civil society” says Corpus Juris 20, 496. A court of equity has inherent power to investigate if a judgement has been obtained by fraud, and that is a power to unearth it effectively, since no fraud is more odious than one to subvert justice. Cases include when “by reason of something done by the successful party… there was in fact no adversary trial or decision of the issue in the case. Where the unsuccessful party has been prevented from exhibiting fully his case, by fraud or deception practised on him by his opponent, as…where an attorney fraudulently or without authority assumes to represent a party and connives at his defeat; or where the attorney regularly employed corruptly sells out his client’s interest to the other side ~ these, and similar cases which show that there has never been a real contest in the trial or hearing of the case, are reasons for which a new suit may be sustained to set aside and annul the former judgment or decree, and open the case for a new and a fair hearing….” (Hazel Atlas). There is no time-limit in United States federal law for rectification of fraud on the court of this sort, and I remain fully hopeful today of the working of American justice in the case. 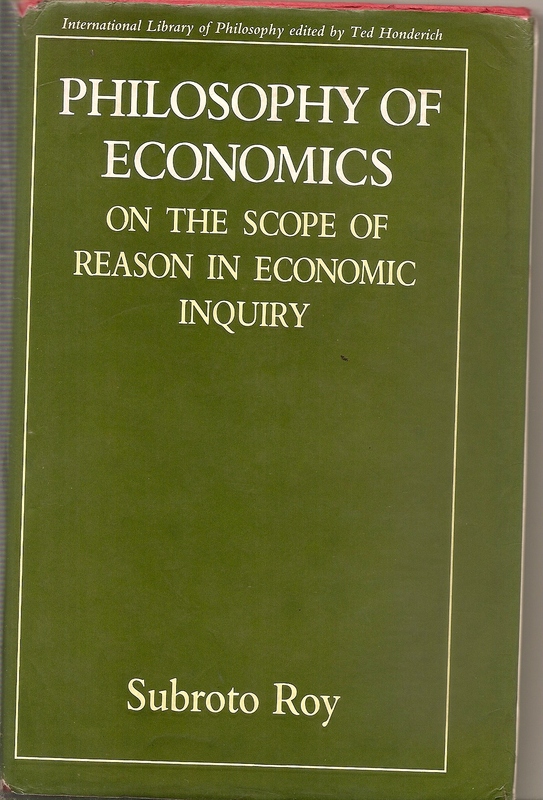 The practical result was that this book was never able to be properly publicized among economists as it would have been had I become Professor of Economics at the University of Hawaii by 1992 as expected. The hardback sold out quickly on its own steam and went into paperback by 1991, and a friend told me it was being used for a course at Yale Law School. The reviews were mostly intelligent. Upon returning to Britain as the Wincott Visiting Professor in 2004, I found times had changed and so had Routledge who would not keep it in print let alone permit a second revised edition. But I am now free to republish the book as I please, and today in 2007, with the Internet growing to a maturity which allows the young geeks at WordPress.com to want to encourage blogging worldwide, I can think of no more apt place to reproduce the first edition of this book than here at my own blog http://www.independentindian.com. This is not a second or revised edition, and it is unchanged in content except for this lengthy new preface made necessary by the adventures and dramas the book’s author found himself unwittingly part of since its first publication. I am 52 now and happy to say I endorse the book just as I had published it at 34, though I do find it a little impatient and too terse in a few places. The 1991 paperback corrected a few slight errors in the 1989 hardback, and has been used. I am planning an entirely new book which shall have its roots in this one though it will be mostly in philosophy and not economics — the outlines it may take may be seen in the 2004 public lecture I gave on the work of Bambrough and Wisdom mentioned above and published elsewhere; its main aim will be to uncover for new generations the immense worth there is in their work which is in danger of being lost. At least two names failed to appear in the original list of acknowledgements. G. Bruce Chapman, now of the University of Toronto, and I talked much of serious ethics and political philosophy when I first arrived at Cambridge in 1976. And in 1980 in Blacksburg, Anil Lal, then a graduate student and house-painter, borrowed my copy of Bambrough’s work, read it, and later made a comment on the metaphysics of John Wisdom which allowed me to see things more clearly. While releasing Mr Chidambaram’s book some days ago, our PM said that as Narasimha Rao’s Finance Minister in 1991 he had caused “fiscal stabilization” of the country. Unfortunately, Dr Manmohan Singh may have been believing the flattery of his sycophants, since the facts point differently. The Fiscal Deficit is new borrowing by Government added for a given year. In 1994-1995 for example, the Union Government’s expenditure net of operational and other income was some Rs 1,295 billion (1 billion = 100 crore). Rs. 674 billion was generated for the Union Government by taxation that year (Rs 184 billion from direct taxes, Rs 653 billion from indirect and miscellaneous taxes, less Rs 163 billion as the States’ share). The difference between Rs 1,295 billion and Rs. 674 billion, that is Rs. 621 billion had to be borrowed by the Government of India in the name of future unborn generations of Indian citizens. That was the “Fiscal Deficit” that year. If the stock of Public Debt already accumulated has been B,this Fiscal Deficit, C, adds to the interest burden that will be faced next year since interest will have to be then paid on B + C.
Interest payments on Government debt have dominated all public finance in recent decades, quickly sucking dry the budgets every year both of the Union and each of our more than two dozen States. Some Rs. 440 billion was paid by the Union Government as interest in 1994-1995, and this had risen to some Rs. 1,281 billion by 2003-2004. As a percentage of tax revenue, interest expenditure by the Government of India on its own debt rose from 40% in 1991 to 68% in 2004 ~ through the Finance Ministerships of Manmohan Singh, P Chidambaram, Yashwant Sinha and Jaswant Singh. Financial control of India’s fiscal condition, and hence monetary expansion, vitally requires control of the growth of these kinds of dynamic processes and comprehension of their analytical underpinnings. Yet such understanding and control seem quite absent from all organs of our Government, including establishment economists and the docile financial press. For example, contrary to the impression created by the Finance Ministry, RBI and Union Cabinet (whether of the UPA or NDA, while the Communists would only be worse), the Fiscal Deficit has been in fact very far from being all that the Government of India borrows from financial markets in a given year. The stock of Public Debt at any given moment consists of numerous debt-instruments of various sorts at different terms. Some fraction of these come to maturity every year and hence their principal amounts (not merely their interest) must be repaid by Government. What our Government has been doing routinely over decades is to roll over these debts, i.e. issue fresh public debt of the same amount as that being extinguished and more. For example, some Rs. 720 billion, Rs. 1,180 billion, Rs.1,330 billion and Rs. 1,390 billion were amounts spent in extinguishing maturing public debt in 1993, 1994, 1995 and 1996 respectively. No special taxes were raised in those years specifically for that purpose. Instead the Government merely issued additional new debt or “rolled over” or “converted” the old debt in the same amounts and more in the portfolios of the captive nationalized banking system (see graph). Plainly, the Government of India’s actual “Borrowing Requirement”, as the difference between its Income and Expenditure, when accounted for properly, will be the sum of this rolled over old debt and the Fiscal Deficit (which is merely the additional borrowing required by a single year’s Budget). In other words, the Government’s Borrowing Requirement is the Fiscal Deficit plus the much larger amount required to annually roll over maturing debt. Because the latter expenditure does not appear at all in calculation of the Fiscal Deficit by the subterfuge of having been routinely rolled over every year, the actual difference between Government Expenditure and Income in India has been made to appear much smaller than it really is. Although neglected by the Cabinet, Finance Ministry, RBI and even (almost) the C&AG, the significance of this discrepancy in measurement will not be lost on anyone seriously concerned to address India’s fiscal and monetary problems. On the expenditure side, Current Expenditure (anachronistically named “Revenue Expenditure” in India as it is supposed to be met by current revenue) meets recurrent liabilities from one budget-date to the next, like salaries of school-staff or coupon payments on Government debt. Investment Expenditure “of a capital nature” is supposed to increase “concrete assets of a material and permanent character” like spending on a new public library, or reducing “recurring liabilities” by setting aside a sinking fund to reduce Government debt. Some public resources need to be spent to yield benefits or reduce costs not immediately but in the future. Besides roads, bridges and libraries, these may include less tangible investments too like ensuring proper working of law-courts or training police-officers and school-teachers. Also, there has been large outright direct lending by the Government of India bypassing normal capital markets on the pattern of old Soviet “central planning”, whereby “credit” is disbursed to chosen recipients. “Current”, “Investment” and “Loan” expenditure decisions of this kind are made on the same activities. For example, in 1994-1995, the Government of India spent Rs. 2.7 billion as “Loans for Power Projects” in addition to Rs. 9.8 billion under Current Expenditure on “Power” and Rs. 15.5 billion as Investment Expenditure on “Power Projects”. By 2003-2004, these had grown to Rs. 50.94 billion, Rs. 31.02 billion, Rs. 28.5 billion respectively. Yet the opaqueness of Government accounts, finances and economic decision-making today is such that nowhere will such data be found in one table giving a full picture of public expenditure on the Power sector as a whole. On the revenue side, Government’s “Current Income” includes direct and indirect taxes, operational income from public utilities (like railways or the post office), and dividends and profits from public assets. There has been a small “Investment Income” too received from sale of public assets like Maruti. Also, since loans are made directly, there has to be a category for their recovery. “One must not take from the real needs of the people for the imaginary needs of the state”, said Montesquieu; while De Marco in the same vein said “the greatest satisfaction of collective needs” has to be sought by “the least possible waste of private wealth”. Even Mao Zedong reportedly said: “Thrift should be the guiding principle of our government expenditure”. The C&AG requires Government determine “how little money it need take out of the pockets of the taxpayers in order to maintain its necessary activities at the proper standard of efficiency”. Yet India’s top politicians and bureaucrats spend wildly ~ driven by the organised special interest groups on whom they depend, while ostentatiously consuming public time, space and resources themselves “quite uselessly in the pleasurable business of inflating the ego” (Veblen). For Government to do what it need not or should not do contributes to its failure to do what it must. Thus we have armies of indolent soldiers, policemen and bureaucrats and piles of rotting supplies in government warehouses while there are queues outside hospitals, schools, courts etc. Parliament and State Legislatures need to first ask of an annual budget whether it is efficient: “Is expenditure being allocated to enhance the public interest to the greatest extent possible, and if not, how may it be made to do so?” National welfare overall should increase the same whichever public good or service the final million of public rupees has been spent on. Fundamentally, government finance requires scientific honesty, especially by way of clear rigorous accounting and audit of uses and origins of public resources. That scientific honesty is what we have not had at Union or State level for more than half a century.